Hey Hey. Welcome to Studio Abroad, an artistic adventure! I'm Lauren Schnell, New Orleans artist & native, jet-setting to inspire, create, and (let's be honest) rule the world. I began my adventures abroad in August of 2017, and since then, I have packed up my studio and visited 10 countries and 22 cities. And, wow, I am just getting started! If I can do it, so can you. 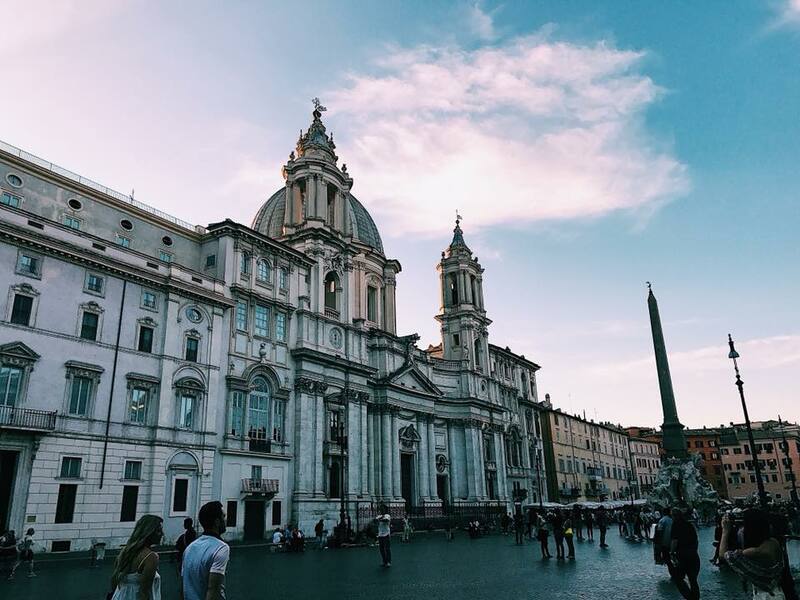 Studio Abroad is a place for dreamers to turn their wanderlust into reality. I hope to inspire you to live an extraordinary life full of passion and love for the beauty this world has to offer. I invite you to join me on my journey as I illustrate my way for you across this amazing planet. 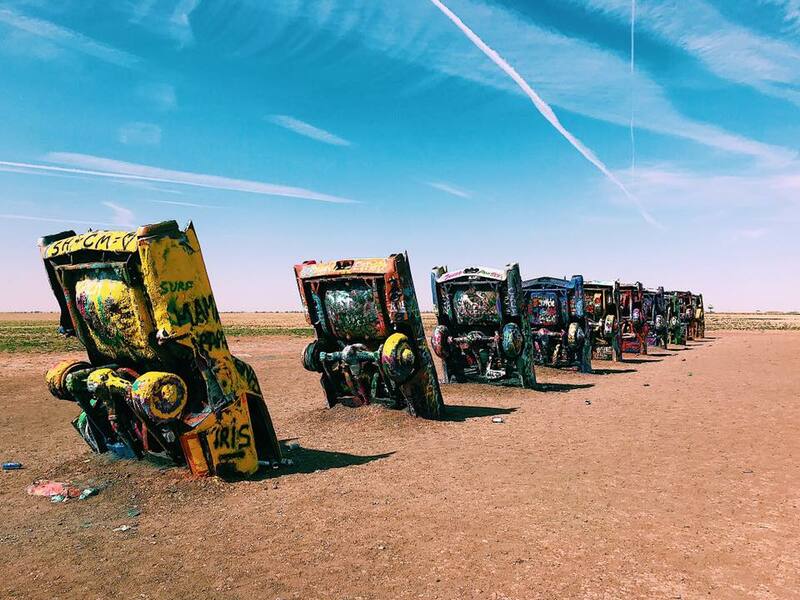 "We don't care, we're driving Cadillacs in our dreams"
Along side Interstate 40 in Amarillo, TX, there lies an art installation. 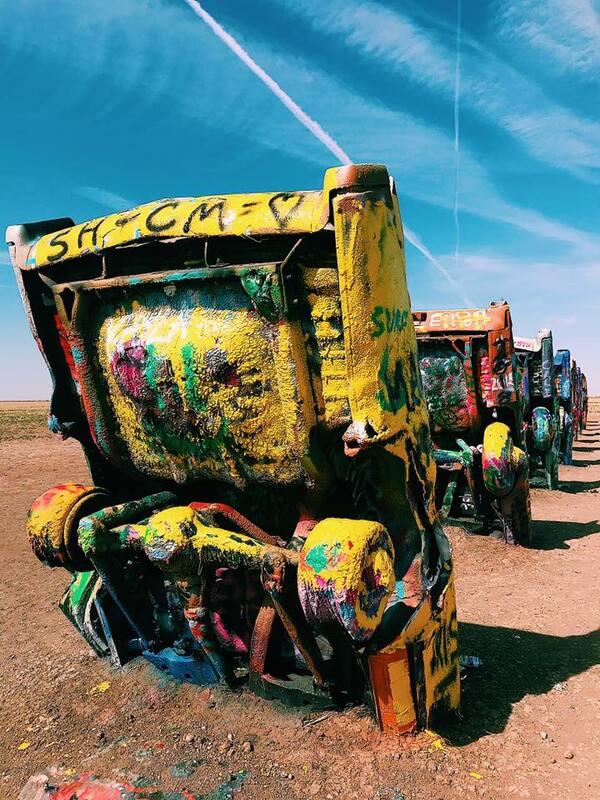 Originally installed by the art group, Ant Farm, Cadillac Ranch has been become a notorious landmark along the historic Route 66. It exhibits a number of evolutions of the car line, most notably the birth and death of the defining feature of mid twentieth century Cadillacs: the tailfins. The Caddy models range from 1949 to 1963, and are half-buried nose-first in the ground, at an angle purportedly corresponding to that of the Great Pyramid of Giza in Egypt. 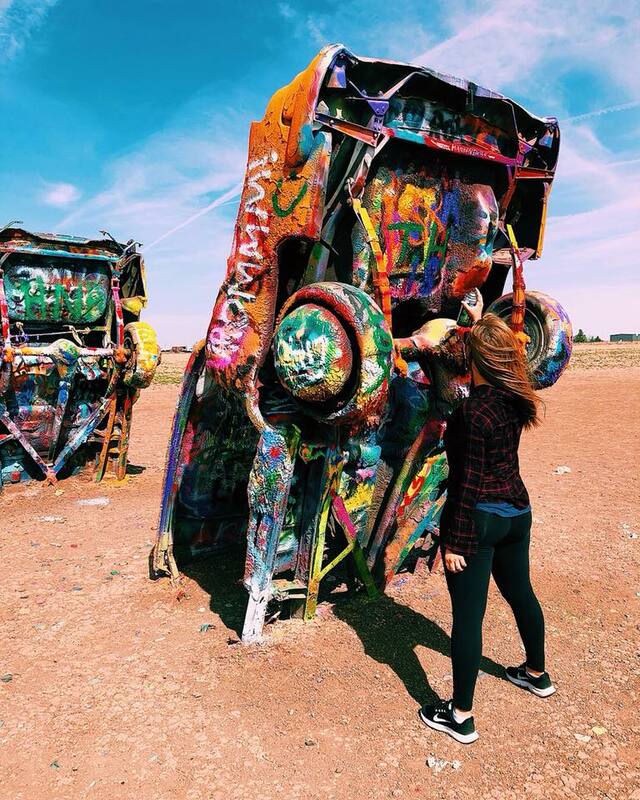 Now, it acts as a blank canvas that invites everyone's inner artist and rebel to come leave their mark on the world. ...all brought together in a Northern Texas pasture. All photographs belong to Lauren Schnell. March Inspiration: NOMA's "A Queen Within: Adorned Archetypes"
An exhibit created to inspire, New Orleans Museum of Art's A Queen Within: Adorned Archetypes, does exactly that. 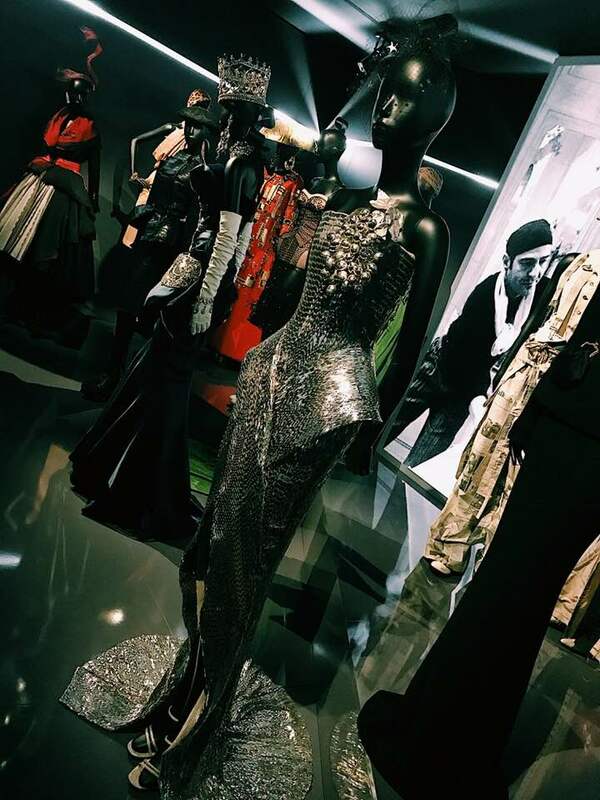 The first of its kind in New Orleans, A Queen Within, at the New Orleans Museum of Art (NOMA) showcases rare pieces from the world's largest private collections of the late and great Alexander McQueen. 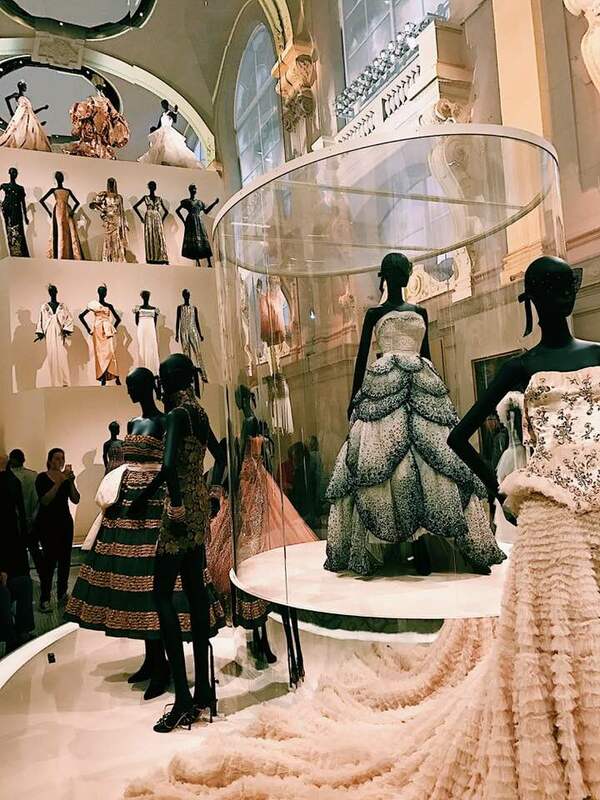 In good company, McQueen is surrounded by haute couture pieces of renown fashion designers, some including Comme des Garçons, Prada, Iris van Herpen, and Chanel. As if the exhibition of technologically forward, boundary crushing, daring designs on display were enough to grant a visit to the exhibit at NOMA, the exquisite gallery presentation brings life to the apparel in a way that is truly breathtaking. The Mother Earth is an altruistic parent, protector, and mentor. She is the mystic, powerful life-giving force. She provides love to help others flourish. The Explorer Queen is an independent-minded pioneer, adventurer, and rebel. She accepts challenges, breaks down barriers, and rejects authority, so that the human spirit can continue to be authentic and free. The Enchantress Queen embodies the femme fatal with her sexcual appeal, extreme passion, and mesmerizing wit. The Sage Queen is educated and wise, using her analytical knowledge to think deeply about the world. The Heroine Queen is arranged in a metaphorical battle, like a game of chess, highlighting a brave warrior with a sense of morality and a willing readiness to fight for her cause. The Magician Queen is a visionary artist, one who emphasizes fashion's potential for creativity and visual experimentation with little regard for practical use. Blessed with imagination, The Thespian Queen is an actress, entertainer, dramatist, or comedian. She loves to amuse others and enjoys the drama of life. 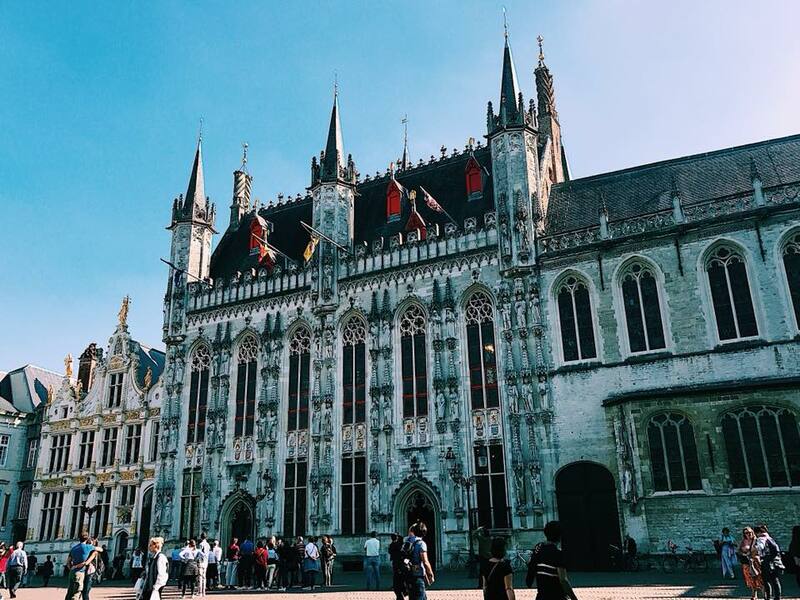 Welcome to the land of chocolates, waffles, beer, and gothic architecture. 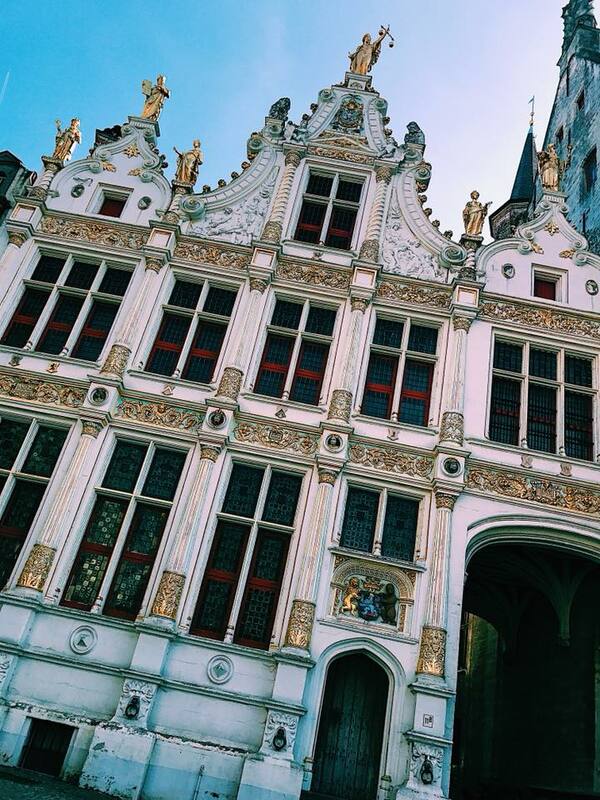 Bruges is one of those fairytale cities that you could just run away to, never to be found again. It's idyllic cobblestone streets wind through the most breathtaking medieval architecture, seemingly untouched by modern history. 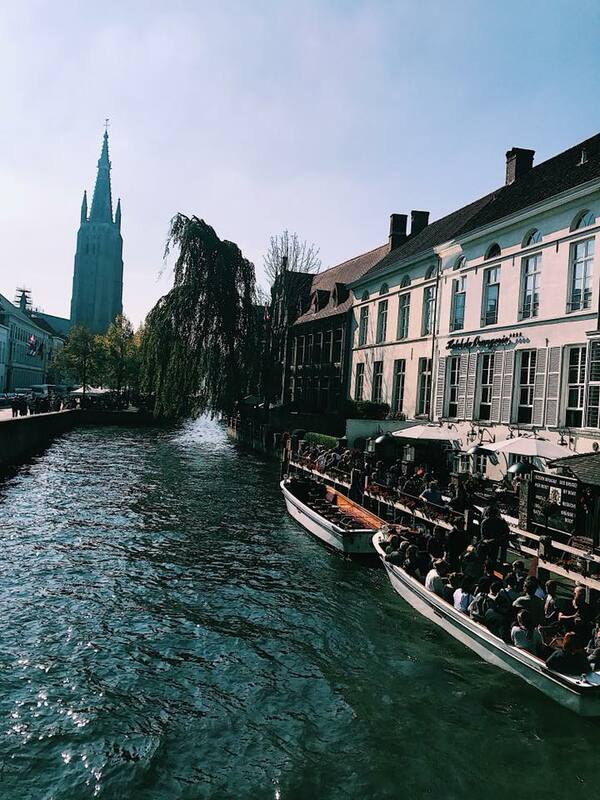 One of it's more distinguishable qualities is the picturesque canal network that runs through the city center, coining Bruges as "Little Venice of the North." 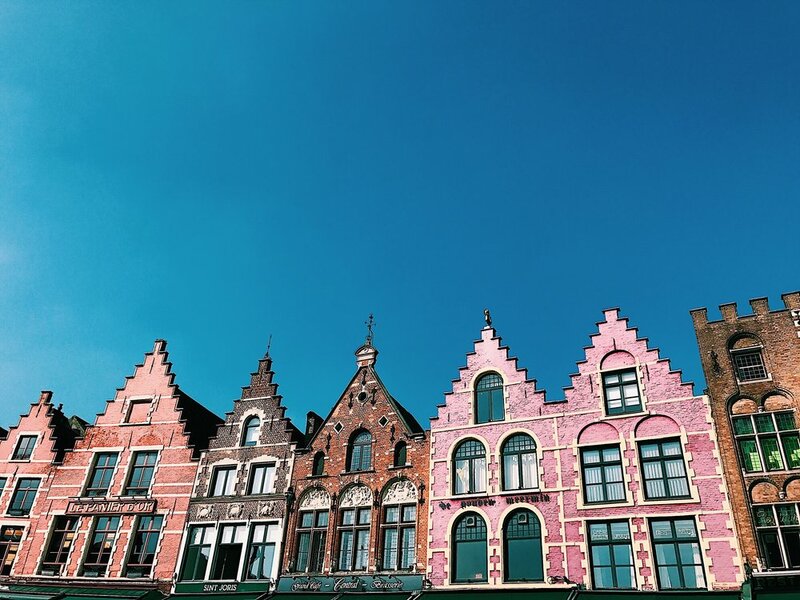 This picture-perfect city offers an escape from the face-paced city life, so expect to stroll, relax, and take in all Bruges has to offer. 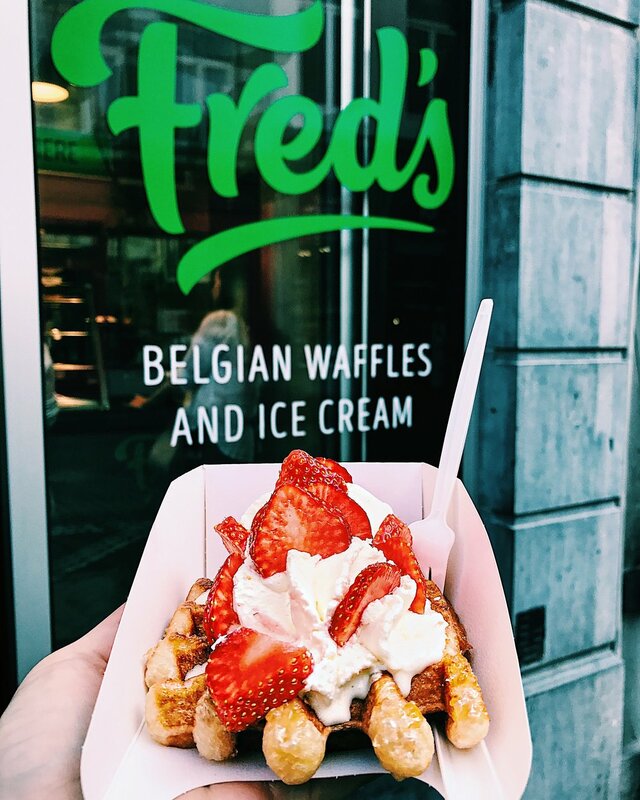 Waffles in Belgium are like gelato in Italy, the consummation limit does not exist. As you walk down the cobble streets, the sweet confection aromas escape the local pastry shops, and you will be hypnotized. Like many places in Europe, you can indulge in a variety of toppings to adorn your delicious waffle. From Nutella, to fresh fruit, the toppings are a never-ending array of scrumptiousness. The Markt, or Market Square, is the located in the heart of the city. The square is lined with yummy eateries and historical landmarks, such as the 12th century Bruges Belfry and Provincial Court. The colorful neo-gothic architecture is perfect for a photo-op! 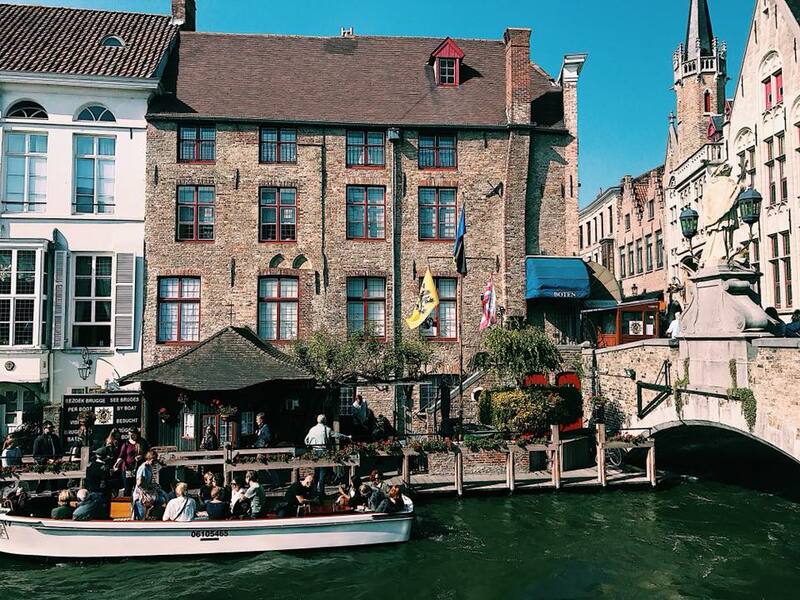 Nothing says fairytale like seeing Bruges by boat or horse-drawn carriage. A boat ride will only cost you about 8 Euros/person for 30 min, while the carriage ride will cost roughly 50 Euros for 40 min. Also, inside Burg Square is my favorite restaurant in Bruges, TOMPOUCE. Eat it. Buy it. Bathe in it. Get chocolate wasted. The End. 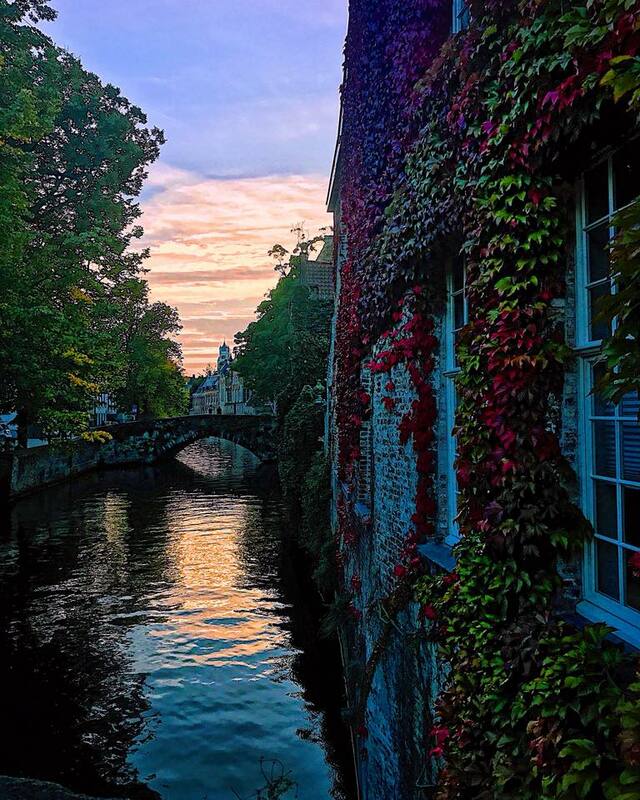 Bruges, like Venice, if the perfect city to lose yourself in. Wander the canals. Stop in local chocolate shops and breweries. Take it all in. 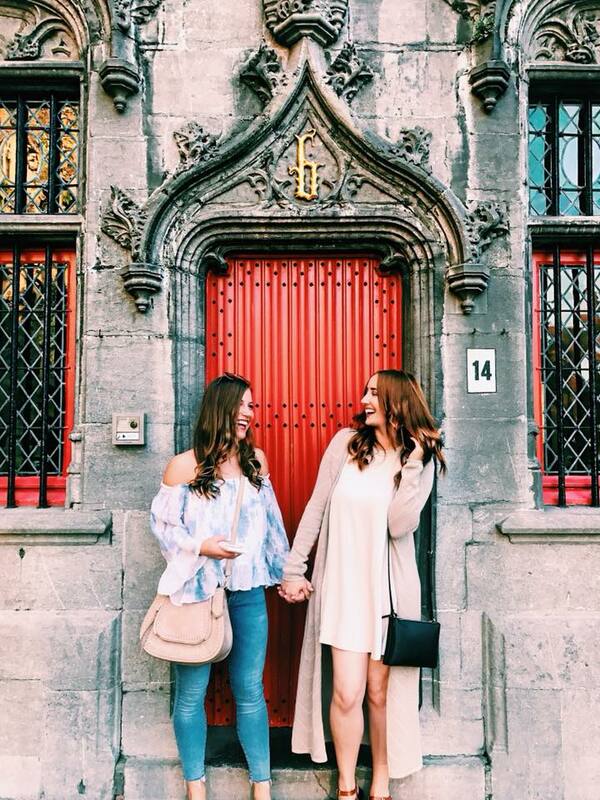 Bruges is truly the perfect place for down-time with friends. Grab a beer or some wine, and indulge yourself in the luxury of this fairytale dreamland. Any Questions or Comments, feel free to comment below! is the king of Paris, France. Bow down. Not only is Paris the capital of France, but most importantly it is the fashion capital of the world. The word fashion means so much more than the combination of interwoven textiles draped upon any given individual, it is the Parisian way of life. It is that almost tangible coolness that radiates from the ultra chic; the Coco Chanels, the Jean Paul Gautiers, the Hubert de Givenchys, the Thierry Muglers, the Pierre Balmains. But, of all the fashion obsessed, one French man commanded the attention of women all over the world with his "New Look." That man innovated some of the most revolutionary designs in Women's Apparel. That man, that legend, is Christian Dior. 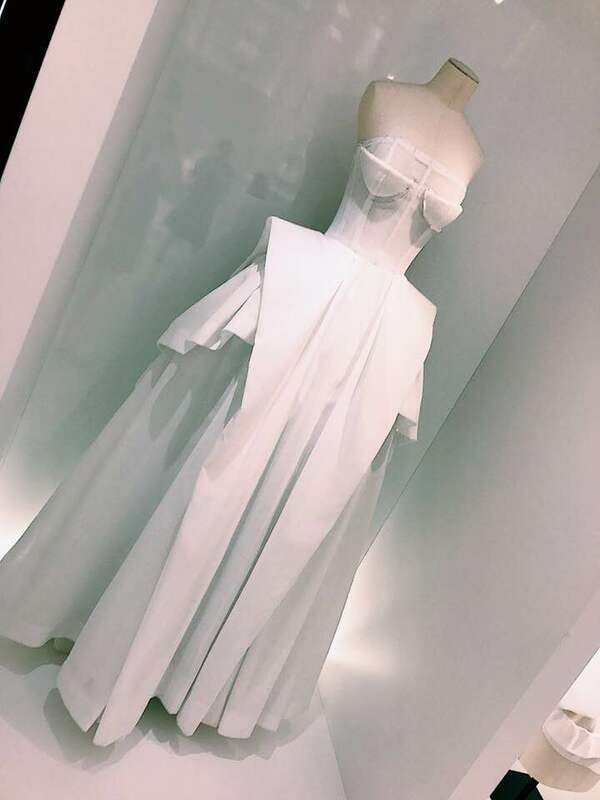 of visiting the Musée des Arts Décoratifs 70th Anniversary celebration exhibit of the House of Dior. The Parisian exhibit runs until January 7, 2018. 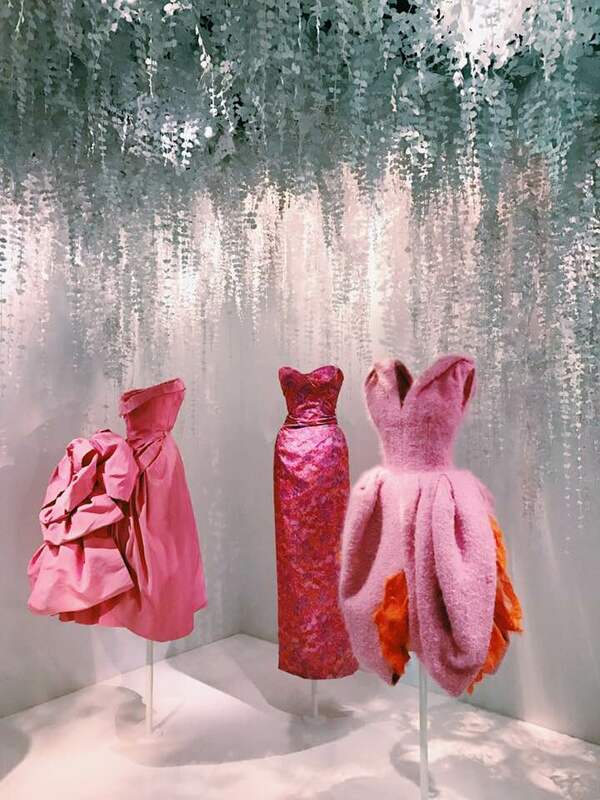 If you're en route to Paris for the holidays, I beg you to stop to see this limited time curated brilliance, Christian Dior Couturier du Reve. 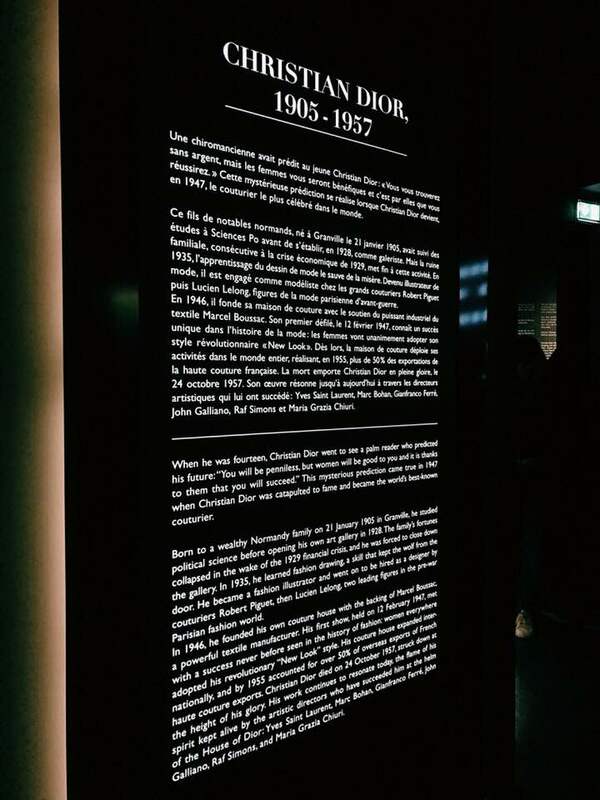 The lavish and comprehensive exhibition invites visitors on a voyage of discovery through the universe of the House of Dior's founder and the illustrious couturiers who succeeded him: Yves Saint Laurent, Marc Bohan, Gianfranco Ferré, John Galliano, Raf Simons, and most recently, Maria Grazia Chiuri. 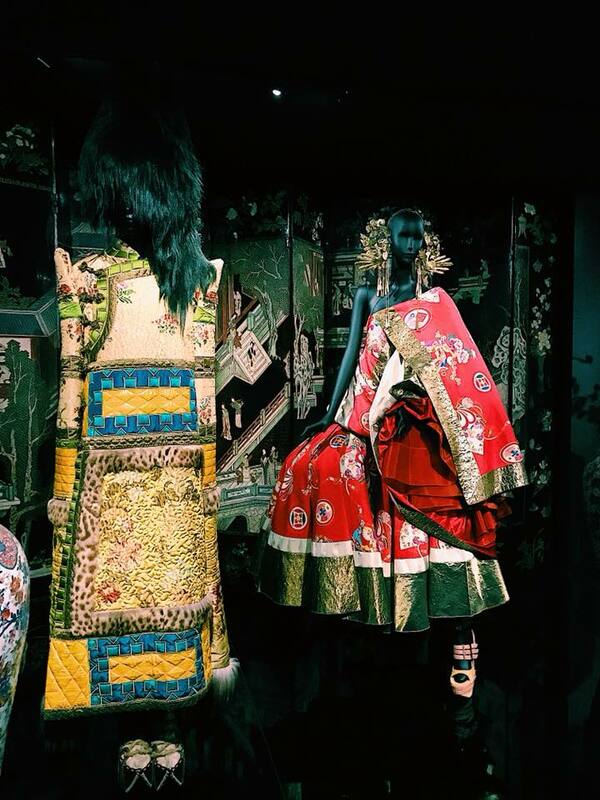 The selection of over 300 haute couture gowns designed between 1947 and the present day has a unifying thread of emotions, life stories, affinities, inspirations, creations and legacies. Alongside the dresses is the most wide-ranging display to date of workshop canvases and fashion photographs, as well as hundreds of documents (illustrations, sketches, documentary photographs, letters and notes, and advertising documents) and fashion accessories (hats, jewellery, bags, shoes and perfume bottles). Purchase tickets in advance at the MUSÉE DES ARTS DÉCORATIFS website. 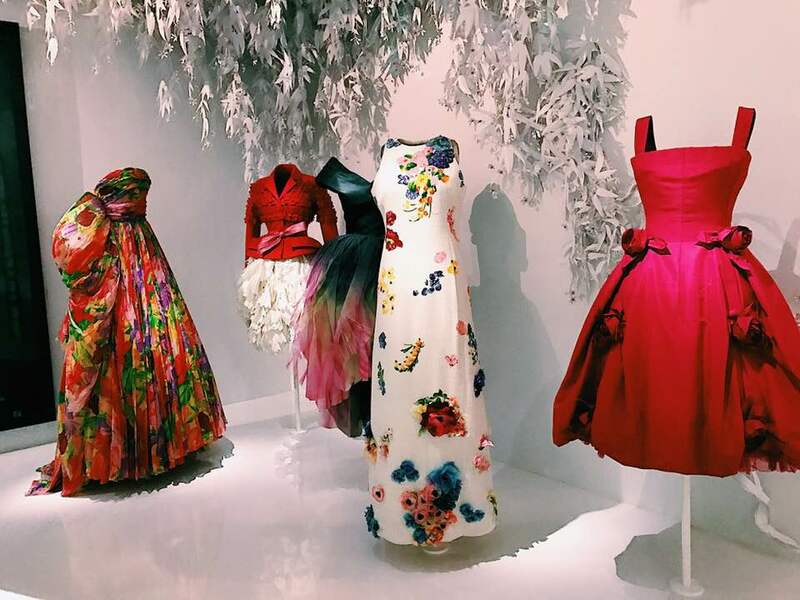 This exhibit is attracting all the fashion obsessed, and will sell out. And who has time in Paris to wait for hours in a line? Not you. "An array of paper flowers was installed like a hanging garden by Wanda artists to depict Christian Dior’s passion for flowers and gardens - one which has proved a constant inspiration for the brand’s creations. 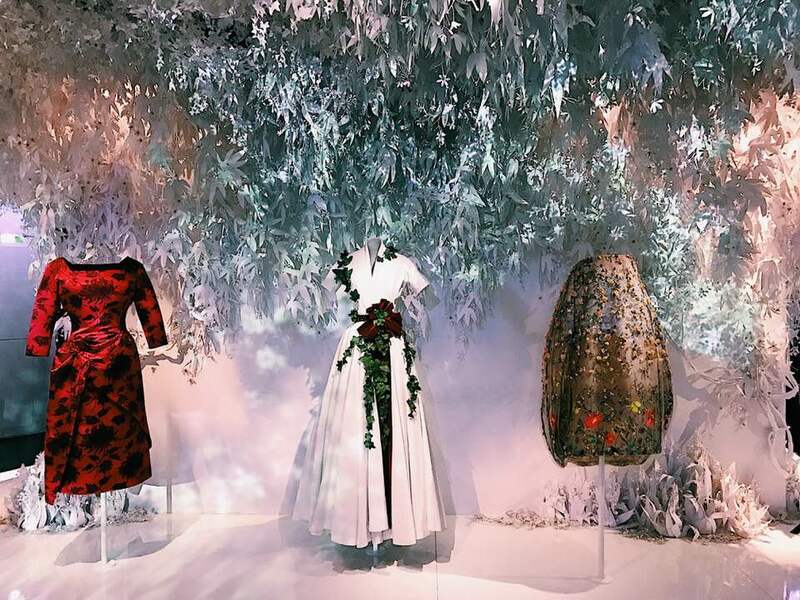 They bloom alongside floral dresses by Christian Dior and his successors, right up to Maria Grazia Chiuri, all against a backdrop of artworks by Claude Monet and Marc Quinn." My heart-stopping moment whilst exploring the exhibition was the gown ballroom inspired by the Hall of Mirrors at the Château de Versailles. 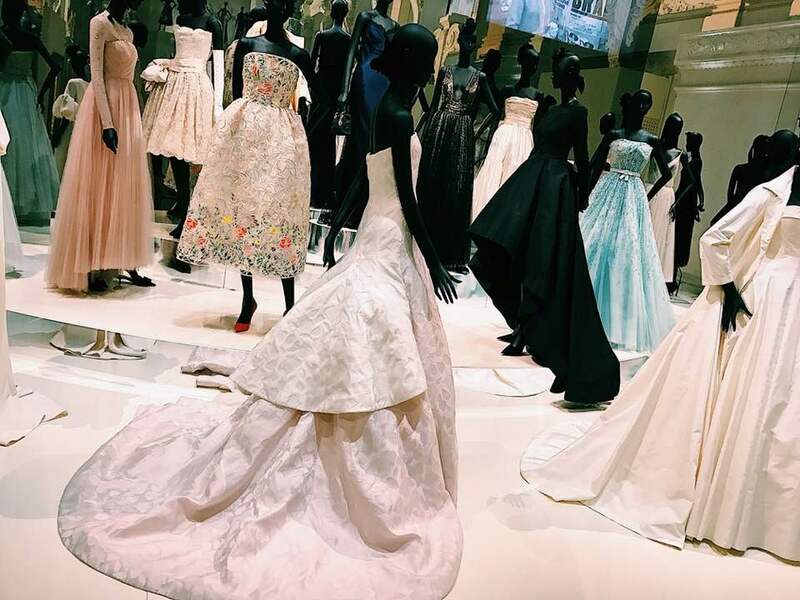 The ballroom of gowns include some worn by royals, such as Princess Grace of Monaco and Princess Diana, others by celebrities, including Elizabeth Taylor, Marilyn Monroe, Marion Cotillard, Charlize Theron, and Jennifer Lawrence, all displayed under the arched 50-foot-high ceiling of the museum’s central nave. Projected upon the entire ballroom is a light show that recreates the space over and over. The sight robbed me of breath, and I'll forever be changed by the magic of Dior. Any questions or comments feel free to comment below! 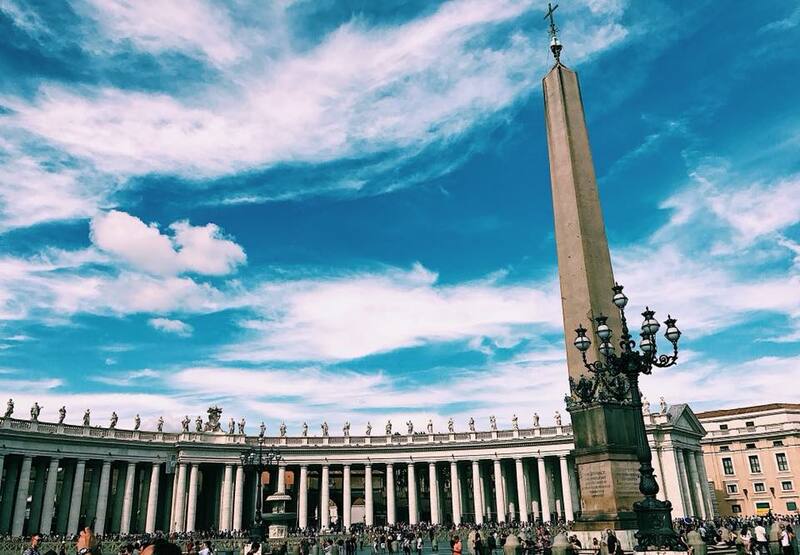 I wish I could explain in words how much I love Rome. The sites, the art, the pasta, the culture; everything about this romantic city makes my heart want to explode with happiness. 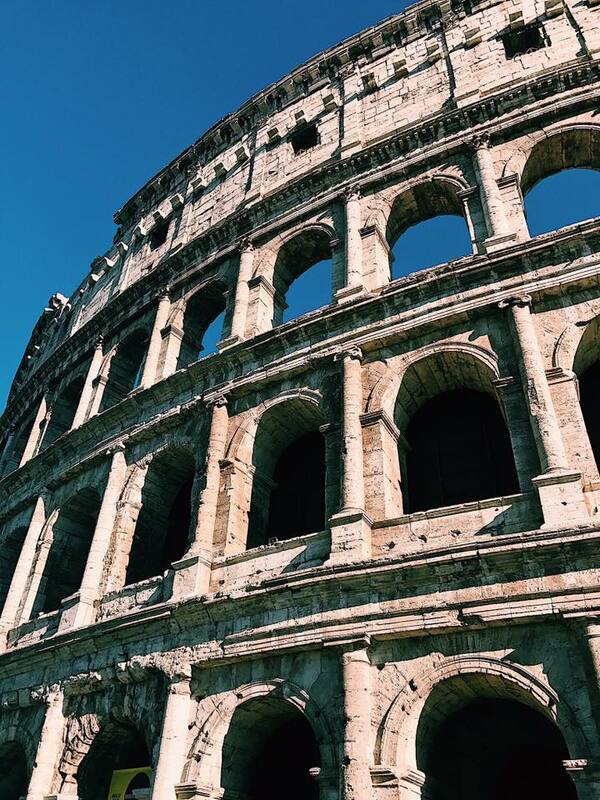 Rome is known as the Eternal City, and is filled with some of the most memorable historical sites in Europe. With over 2500 years of history, the list of sites to see is quite a long one. 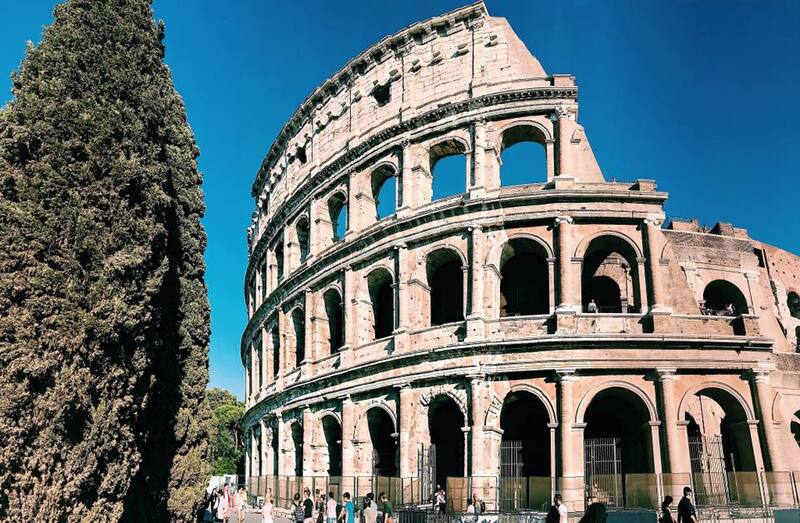 Truth of the matter, many tourist attractions can be seen in one visit, but Rome is one of those cities that you will never tire returning to. Here's my list of the most magical, breathtaking sites that cannot be missed. 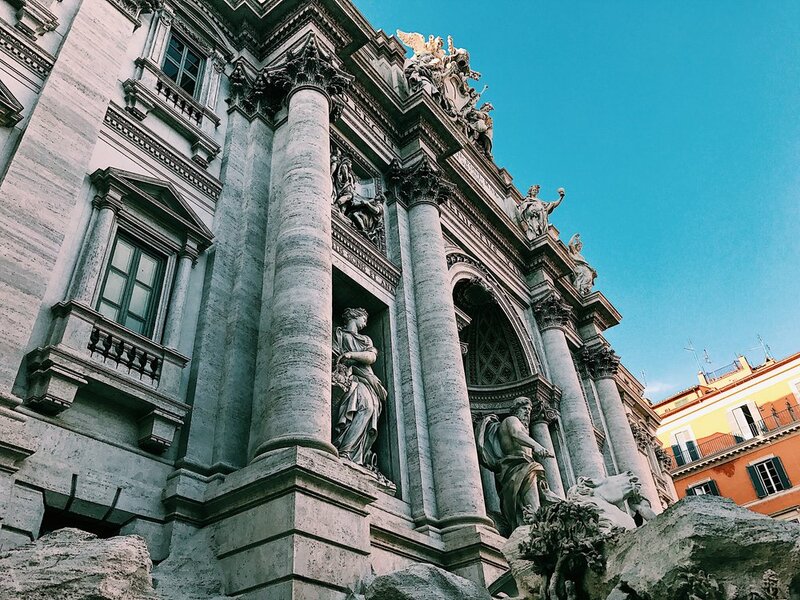 There's nothing like having a Lizzie McGuire moment and making a wish at the Trevi Fountain. Remember: if you coin toss, its right hand over left shoulder! Once inside, make sure to send all my love to Raphael, his tomb dwells within. Pull an Audrey and have a Roman Holiday moment. Fan of The Da Vinci Code series? Follow the angels. The Villa Borghese is the third largest park in Rome, and contains some major sites, including the Galleria Borghese. Filled with wonderful landscape architecture and gardens, the Villa Borghese is a perfect escape from the hustle and bustle of the crowded city. Love truth or dare? A stop at the The Mouth of Truth should definitely be on your list of must-see sites. This ancient mask combines both. Legend has it that if you put your hand in the mouth and tell a lie, the Bocca will slam shut and bite your hand off. 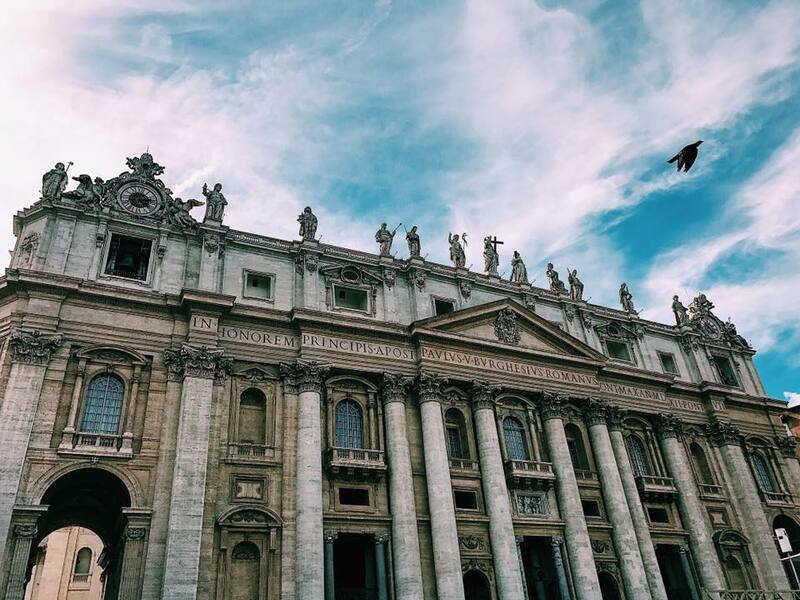 There are more than 900 churches in Rome. 900+. It's impossible to limit favorites to a mere list, because every one is as unique as the next. My quest for church visits depended on the art that lied within. 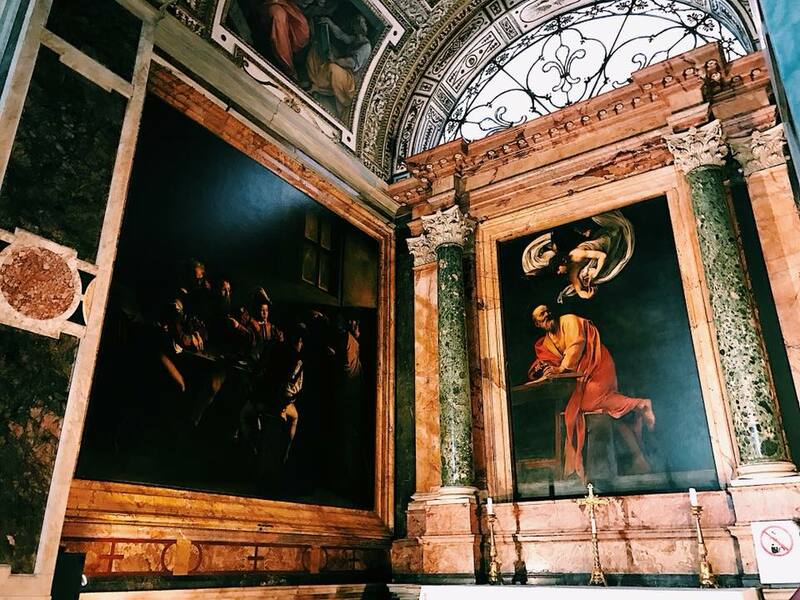 San Luigi dei Francesi is my top choice because it is home to the famous St. Matthew masterpieces by Late Renaissance painter, Caravaggio. There is nothing like a piazza, wine, and gelato break after a day of sightseeing, especially when it's with your travel fam. If you have an questions or comments, feel free to comment below! is a city of imagination and dreams. Laced across 117 mini-islands, the paradise that is Venezia is one not to be missed. Literally. Seeing Venice for the first time is a moment pure magic. 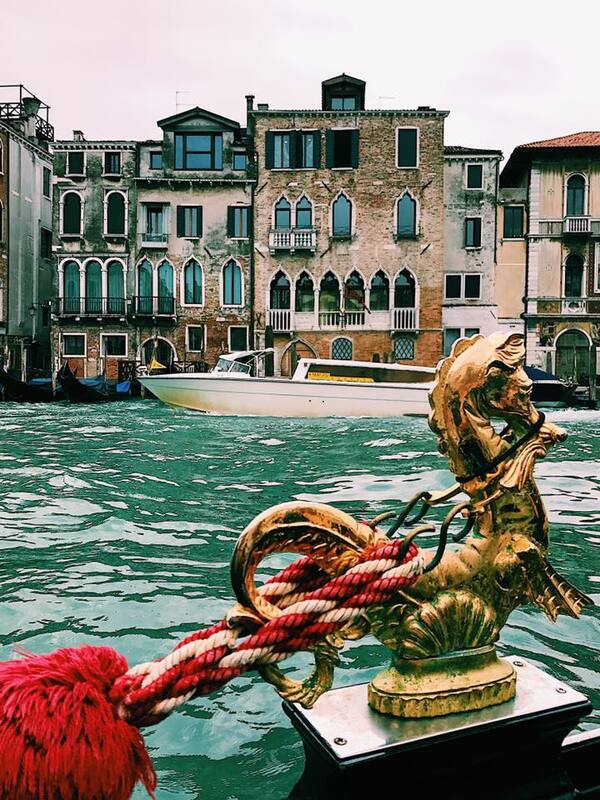 When I stepped off the water bus in The Grand Canal of San Marco, my jaw dropped. It was everything I imagined it would be, multiplied by 50 and covered in fairy dust. Now, my short time in Venice was not as glamorous as a Vogue Italia cover shoot. It was wet, I was sloppy, I got lost, and I cannot think of my time there without the goofiest smile on my face. 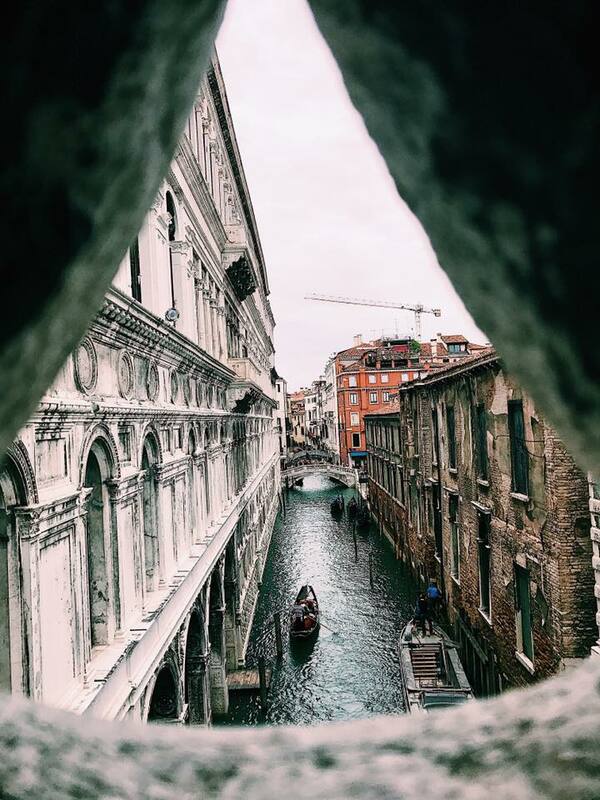 And the fact of the matter is, Venice is wet, Venice can be sloppy, and you should ABSOLUTELY get lost in this city. Contrary to popular belief, it is possibly to see Venice in 24 hours. Will you want to stay forever? Yes you will. And, trust me, a piece of your soul will live out an eternity in Venezia. But, here's a guide to make the most of this incredible city in a short amount of time. HIGH TIDE. The natural phenomenon known as "Acqua Alta" will be so much higher (and exquisitely prettier) than you think it will be. 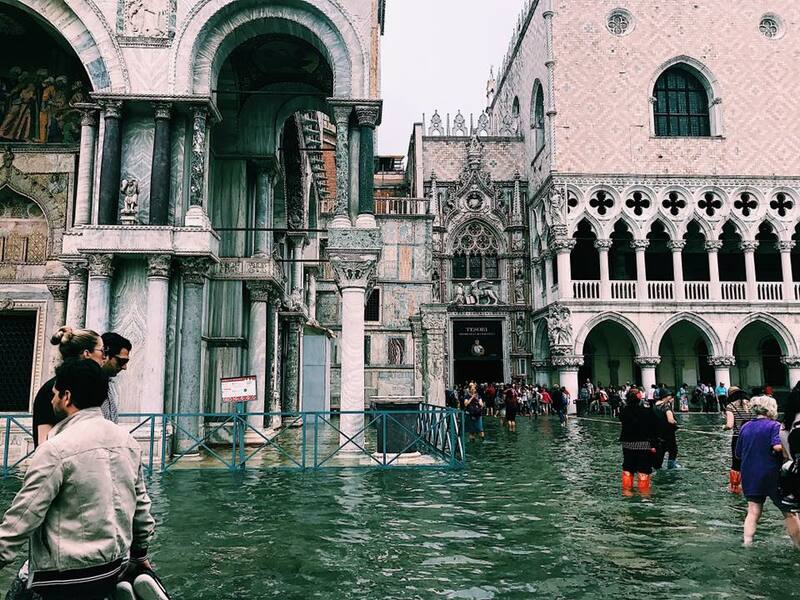 If you plan on visiting Venice from September through December, come prepared! If you don't have room for rain boots in your luggage, fear not. You can buy "temporary rubber boots" from street vendors that go over your shoes and up to your knees, so you can pull a Gene Kelly and dance through Piazza San Marco. Be prepared for large crowds. 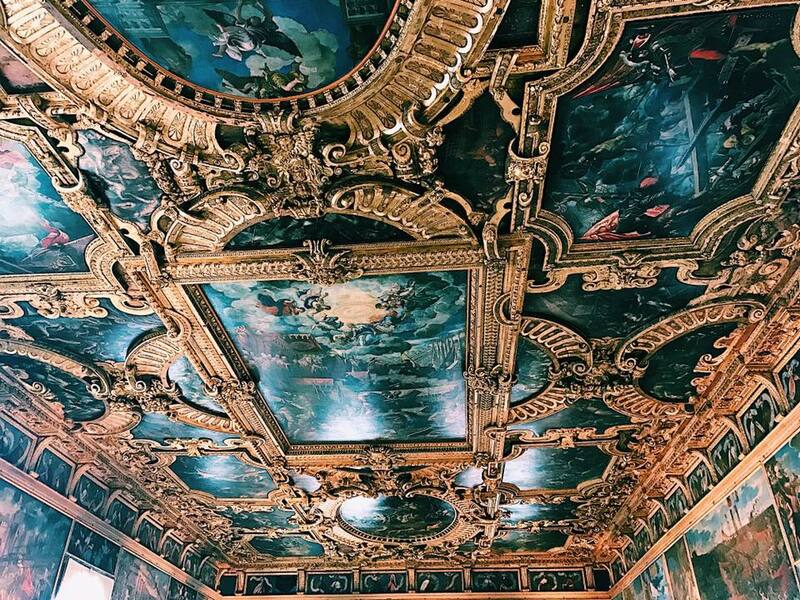 Everyone in the world wants to see Venice as much as you do. Put down the GPS. You WANT to get lost. Google: Origins of Venice, Doge of Venice, Bridge of Sighs, and Carnevale di Venezia. Eat Seafood, you're in a city that is floating on a lagoon. 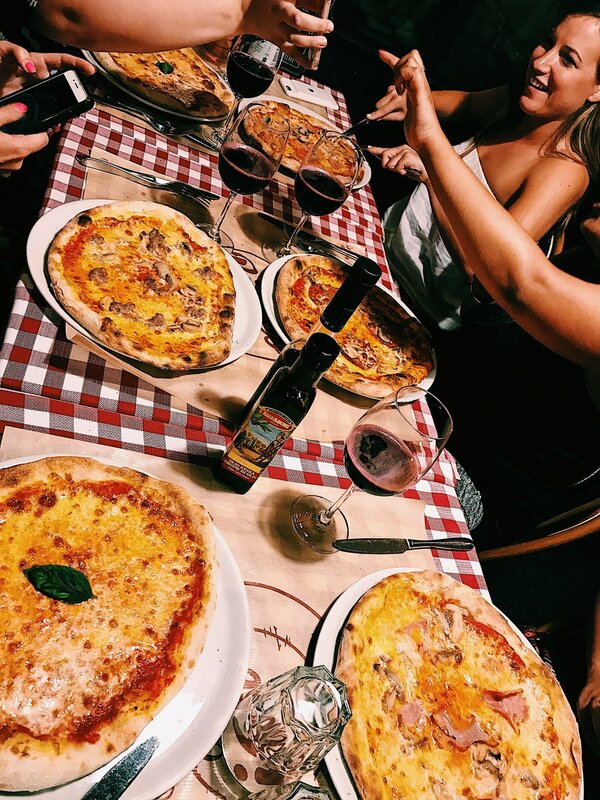 You're in Italy, the land where carbs and calories are the stuff of myths. It's time to grab a pastry and cappuccino. The shortest tour on your visit to Venice will be the interior of St. Mark's Basilica (the line outside will probably take more time). But, once inside the gold mosaics that adorn the entire basilica will make it all worth your while. 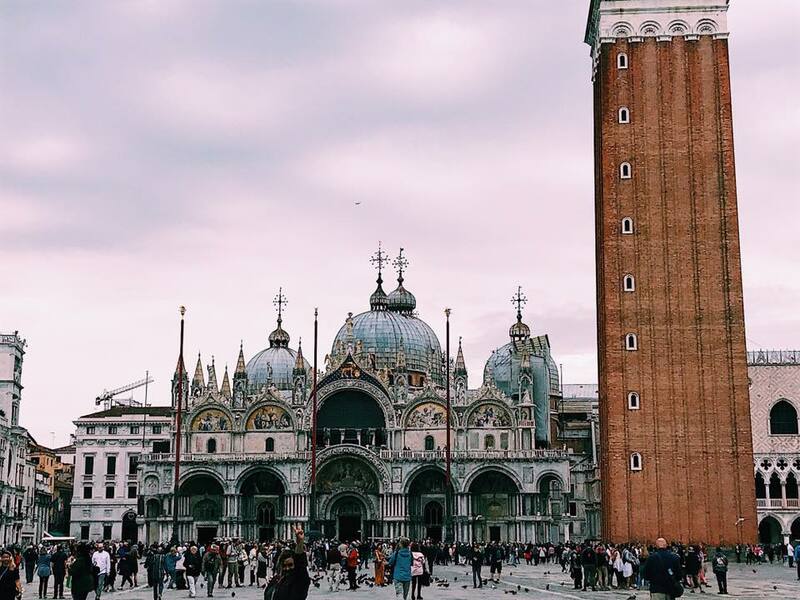 (TIP: dress appropriately, use your inside voices, and do NOT take photos or videos) Make sure to stroll St. Mark's Square after your visit for some lovely sights and great photo ops! Venice is stunning gorgeous. You have only been to Venice if you've wandered the alleyways and just enjoyed the general splendor of the magnificent city. 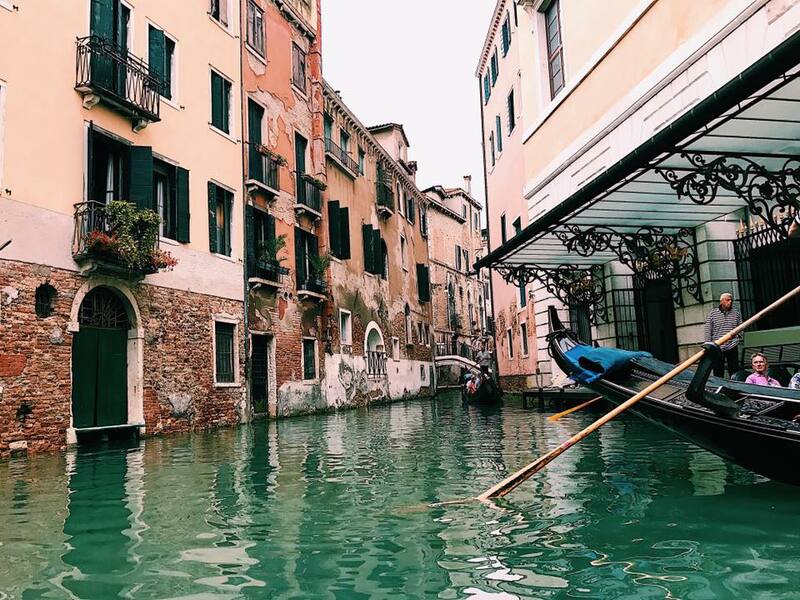 Stop at local shops and eateries to fully submerge yourself in the submerged city of Venezia. All photos are owned by Lauren Schnell. is a city of pure magic and history. The artist inside of me is always drawn to places of historical context, and there is no better place than Firenze. It's my DisneyWorld. 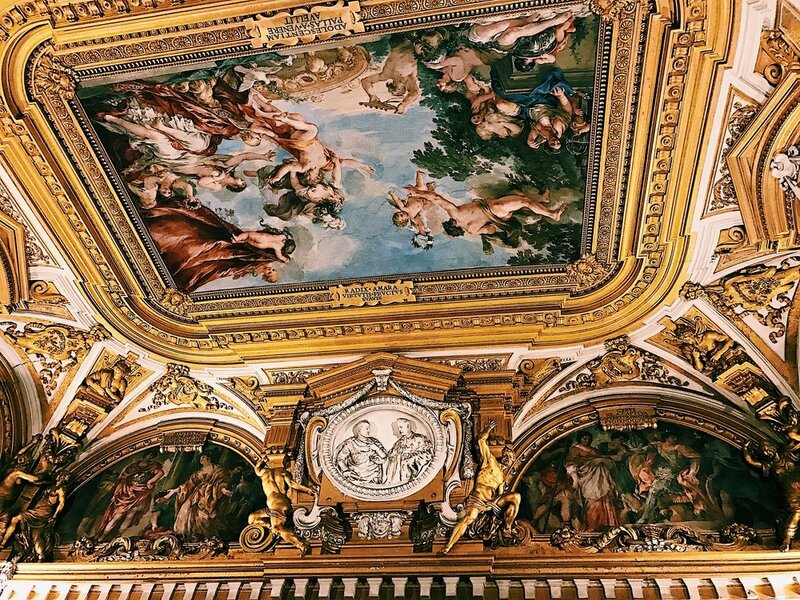 It is home to the one and only Italian Renaissance. What is the Italian Renaissance? Take Leonardo da Vinci, multiply him by Michelangelo, add a hint of Raphael, a dash of Galileo, then mix it all together with Brunelleschi, and you barely have scratched the surface of the Italian Renaissance. As my favorite city in Europe, it is hard to limit a mere three days to explore this incredible city, but it can be done. Wear comfy shoes. You will be walking and climbing and walking some more. The early bird gets the worm. Morning is the most wonderful time in Firenze. The streets are bare, the crowds are limited, and the city is yours. If you are a coffee lover, there is no cappuccino like an Italian cappuccino. After noon, order espresso. 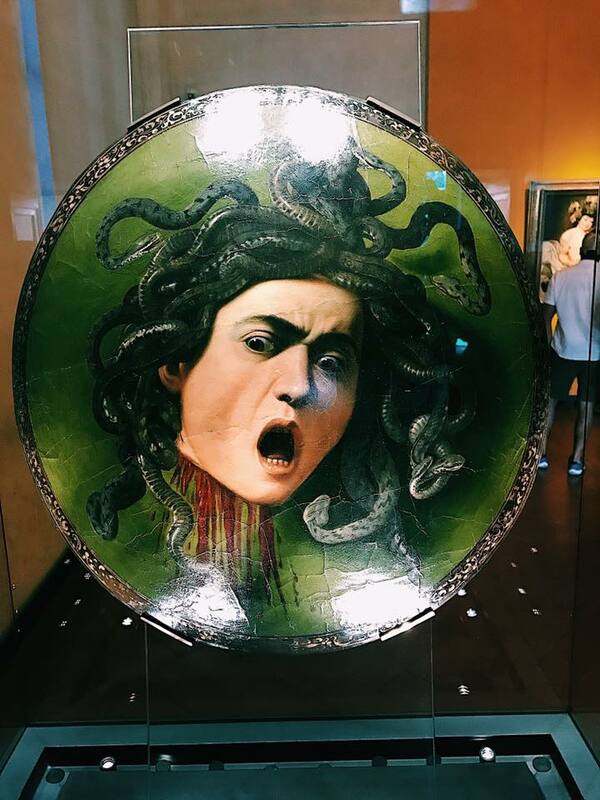 Art and Science rules Florence. 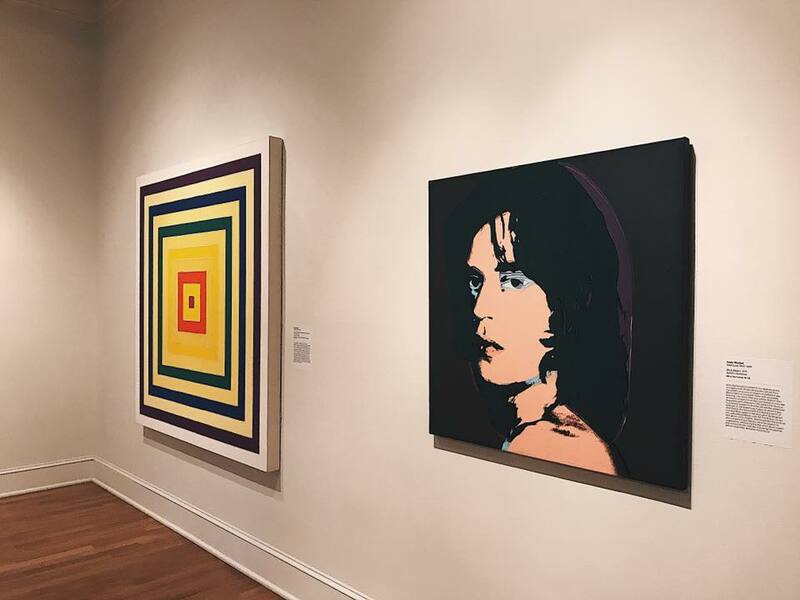 It is home to the masters, so brush up on your art history. Google: Medici. Wine is cheaper than water. Consider the FirenzeCard for the art and history obsessed. Purchase your museums and historical sites tickets in advance. Depending on season, tickets sell out. Many museums require you to arrive at a very strict time slot. Do not be late. Have a scarf ready to enter churches and historical sites--many require sleeves and knees covered. Do not buy trinkets from street salesmen. It is socially acceptable to eat gelato in 15 minute intervals until you go into sugar shock. Did I emphasize comfy shoes? K.
One of the most magnificent sites in Europe is the Cathedral of Santa Maria del Fiore. Located in the Piazza del Duomo, the cathedral sits among the Baptistry and Giotto's Bell Tower. 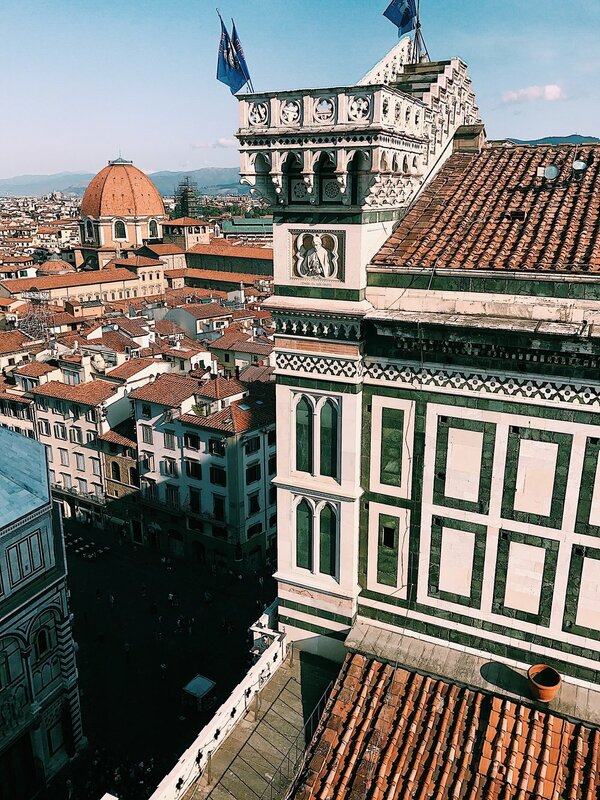 For two of the best views of the entire city, you can climb both the Dome (Duomo) of the Cathedral and Giotto's Bell Tower. But, which to choose? I highly suggest Giotto's Bell Tower. It is almost as tall as the dome, and all of your views include the entire Cathedral and Duomo. (TIP: Pace yourself if you are claustrophobic, its a tight climb, but the Bell Tower offers points of relief as you climb.) If you're lucky and plan it right, the bells will chime while you're atop the tower. I won't spoil how amazing that feels. KEEP YOUR TICKET (it allows you access to multiple historical sites for 48 hours, and you're visiting the Baptistry tomorrow morning). 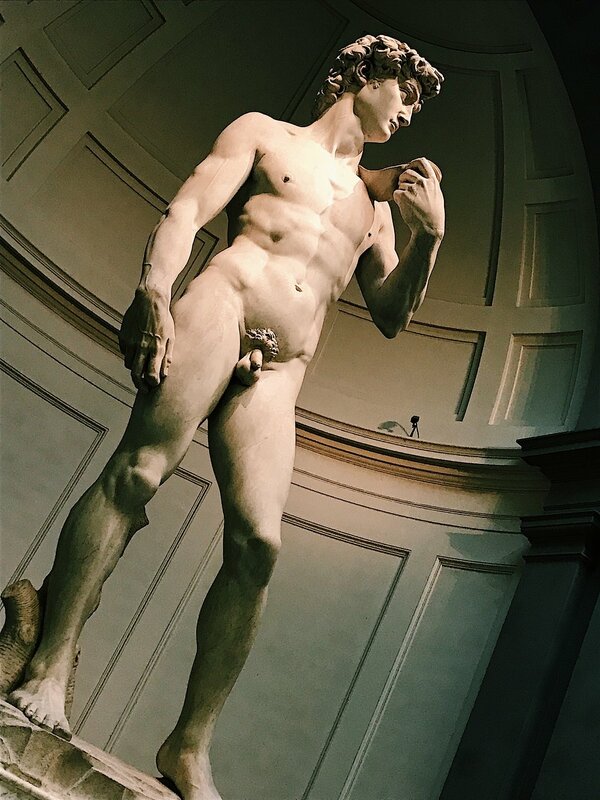 MICHELANGELO'S DAVID. Need I say more? Just go see it. It will blow your mind. Ok? One thing Italy is not short of is pasta (& wine). Eat it. Eat all of it. Get your carbs, you'll need your energy for the rest of the day. If you're on a diet, get off it. Take a stroll across the Arno River on this medieval masterpiece. It truly is the most lovely bridge in the world. It's lined with gold shops and art dealers (AND amazing photo ops). 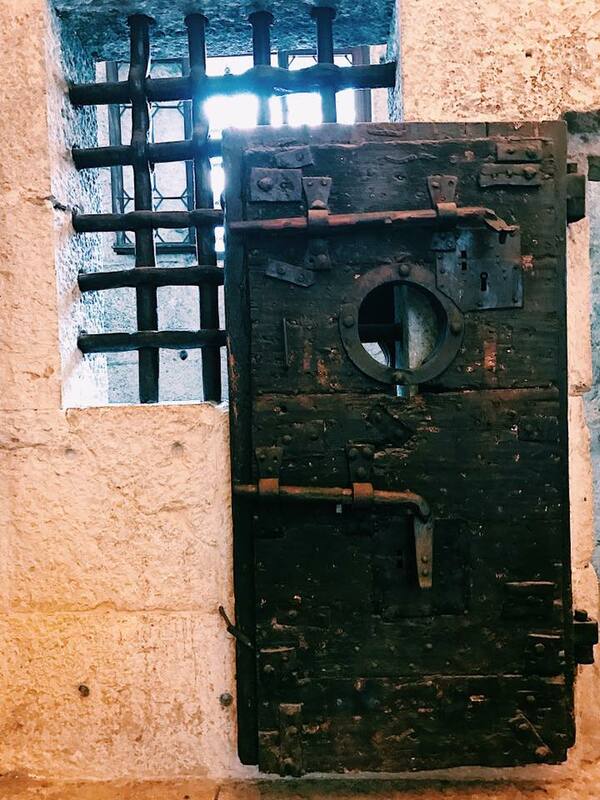 Make sure to see the Ponte Vecchio from all sides, and look out for lovers' padlocks. 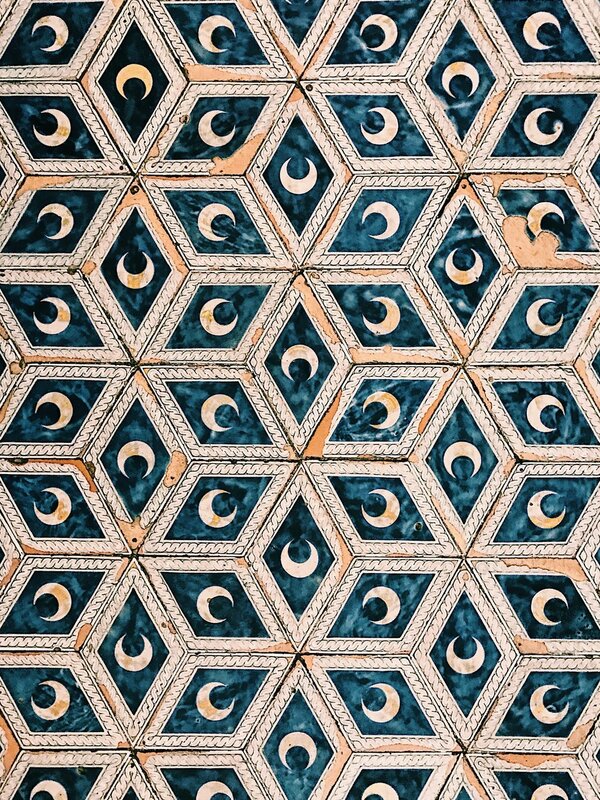 The Palazzo Vecchio is and has always been the source of power and civility in Firenze. The former Palazzo della Signoria was home to the ruling body of the Republic of Florence. 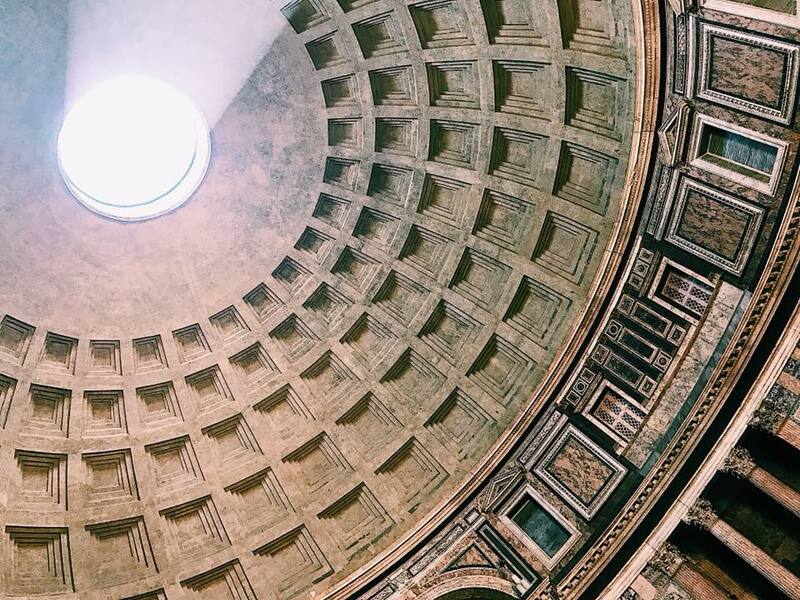 Now it is home to the wondrous and notorious Hall of the 500, as well as the original home of Michelangelo's David, and many other Renaissance masterpieces. It's current look is attributed to the godfather of the Italian Renaissance, Cosimo de' Medici. Thanks, my man. 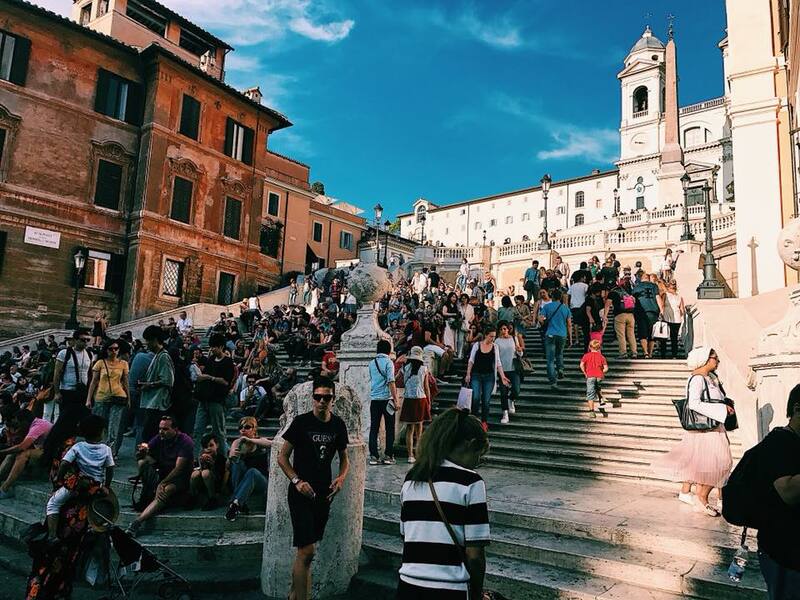 Continue on the wine or gelato train by popping in the various bars and shops that line the narrow streets. Check out evening street performances or historical sites by night for a totally different view. Stop by the Piazza del Duomo (because you'll never get enough of the views) for a true Italian breakfast. Get it "take away" style and wander the piazza. Did you remember to keep your ticket from Giotto's Bell Tower? You'll need it to enter the Baptistry. Located in the Piazza del Duomo, The Baptistry of San Giovanni is not to be missed. 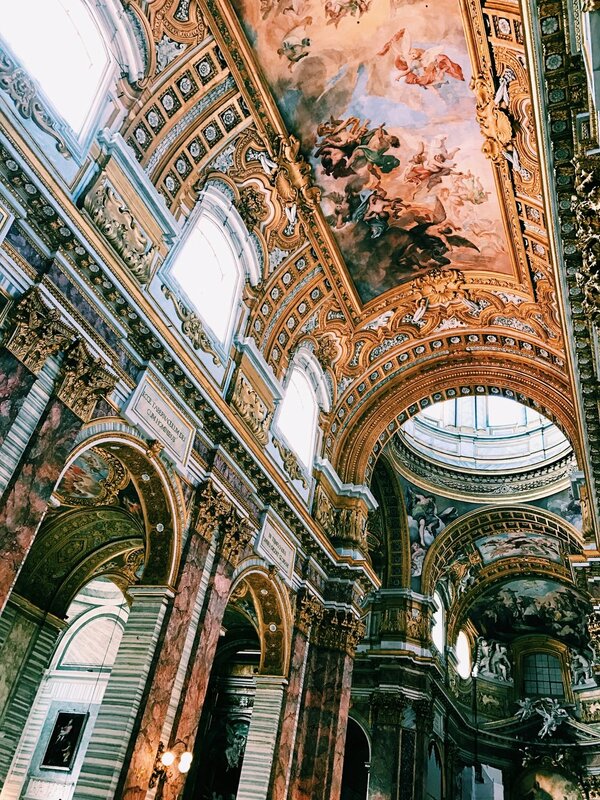 This historical site does not take long to visit, but the gold mosaic dome will forever remain in your memory. 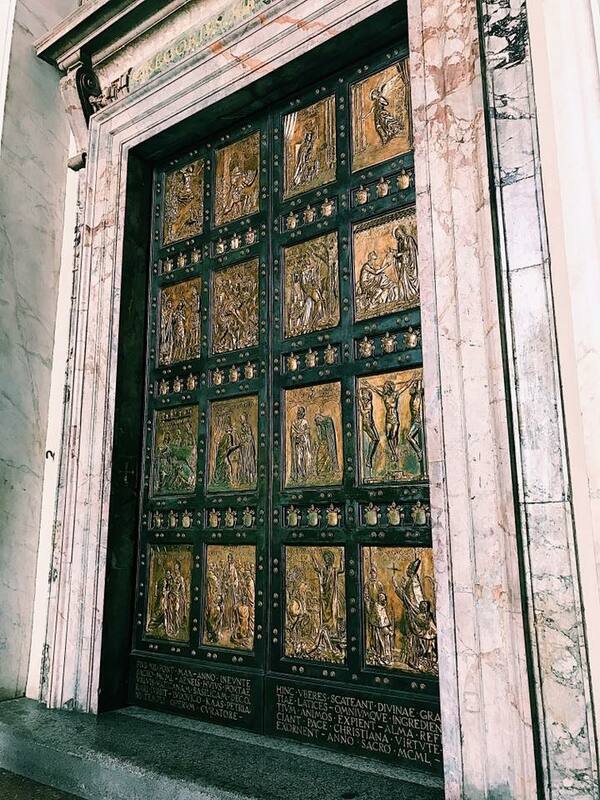 Make sure to stop by the East Door, also know as the Gates of Paradise, created by Ghiberti. 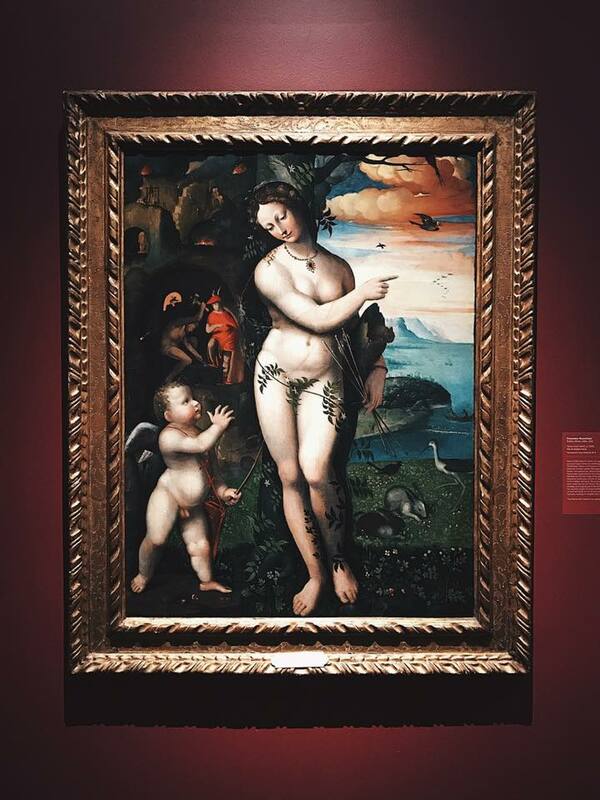 The Uffizi Gallery is one of the most prominent and most visited art museums in the world. 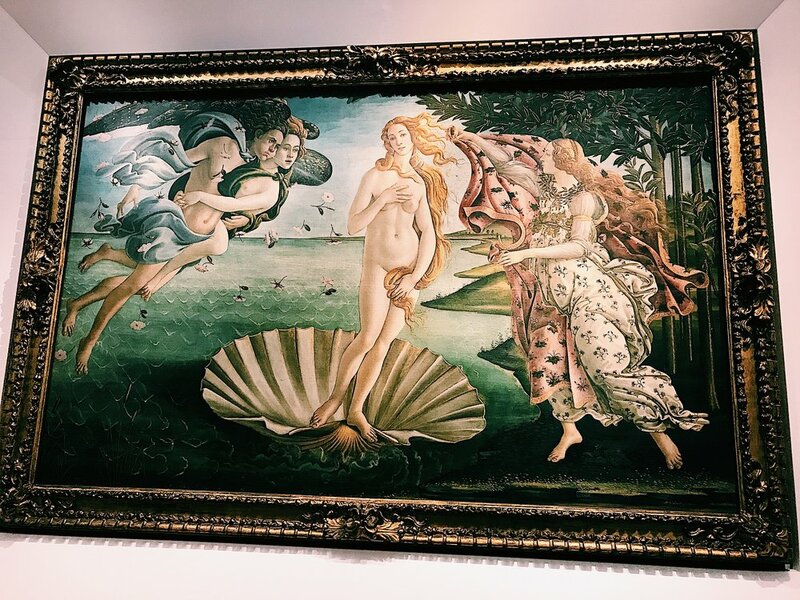 It is home to world-renown masterpieces by great Italian artists such as Botticelli, Giotto, Cimabue, Michelangelo, Leonardo da Vinci, Caravaggio, and Raffael. 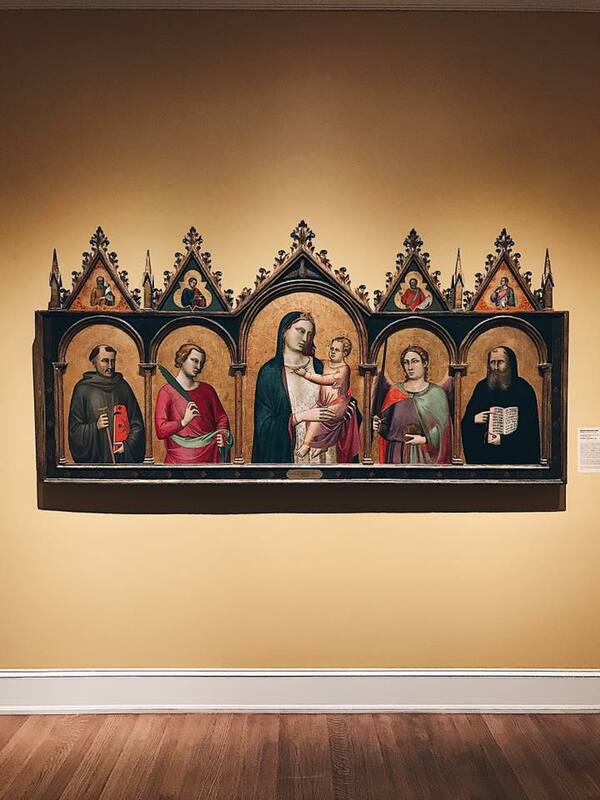 It remains a mecca for all Italian Renaissance enthusiasts. 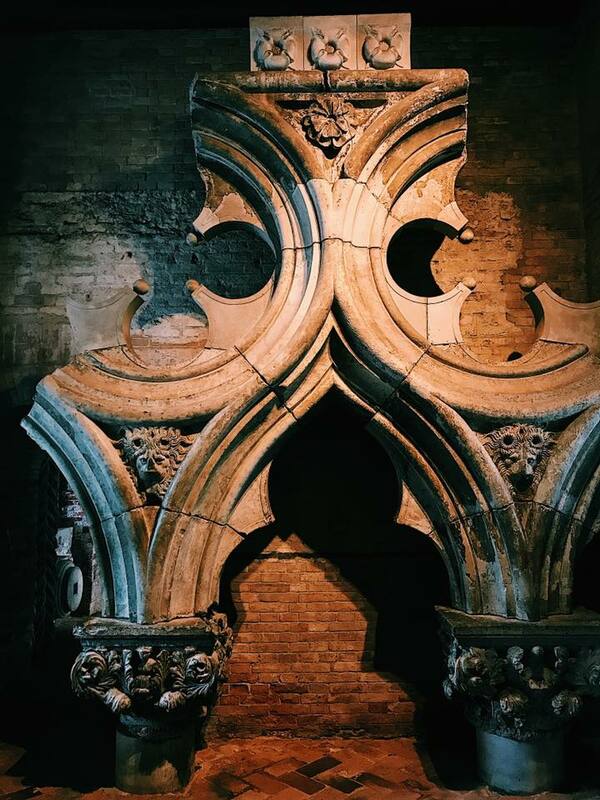 Allow yourself time here, the museum is one of the largest in world and is filled with not only art, but spectacular views of the surrounding Tuscan landscapes. 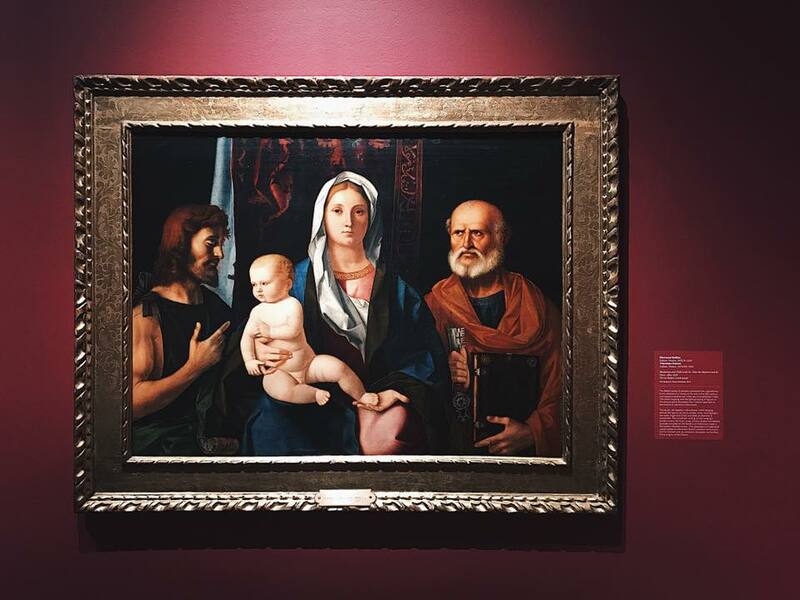 Must-see Masterpieces: Spring by Botticelli, Doni Tondo by Michelangelo, Madonna of the Goldfinch by Raphael, Bacchus by Caravaggio, Venus of Urbino by Titian, and Judith and Holofernes by Artemisia Gentileschi. After feeding your soul at the Uffizi Gallery, its time to feed your stomach with pasta. Remember those comfy shoes? They are essential for this walk. Piazzale Michelangelo is the most magical panoramic viewpoint of the entire city. (TIP: Don't have cellular data? Follow the brown signs indicating historical landmarks to find your way.) Allow yourself, at the very minimum, one hour to reach the top. Then, as the sun sets, let your imagination run wild to a time where the greatest minds created the greatest masterpieces in history. You might be completely exhausted after walking to the Piazzale Michelangelo, but grab a bite or some drinks down the hill and relax. 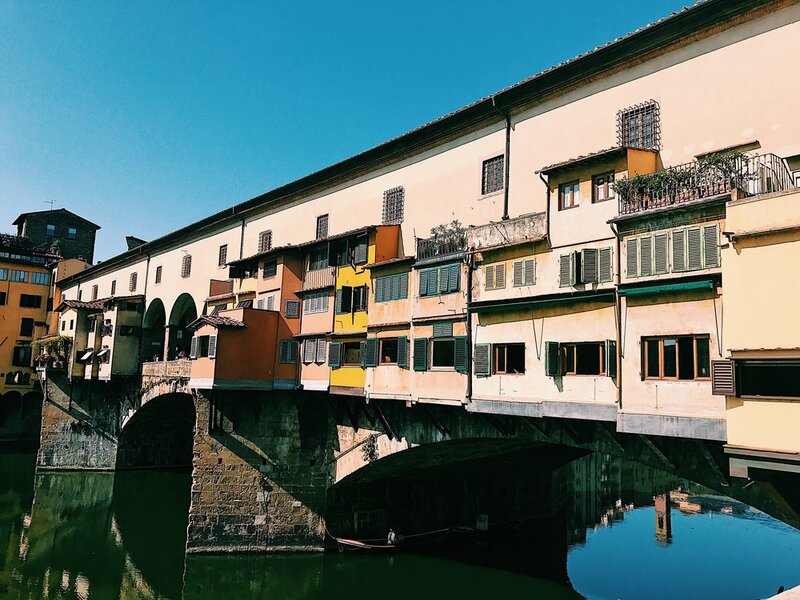 If you are staying in the city center, this is a perfect time to revisit and walk along the Ponte Vecchio, which leads directly to the "Pitti Palace." 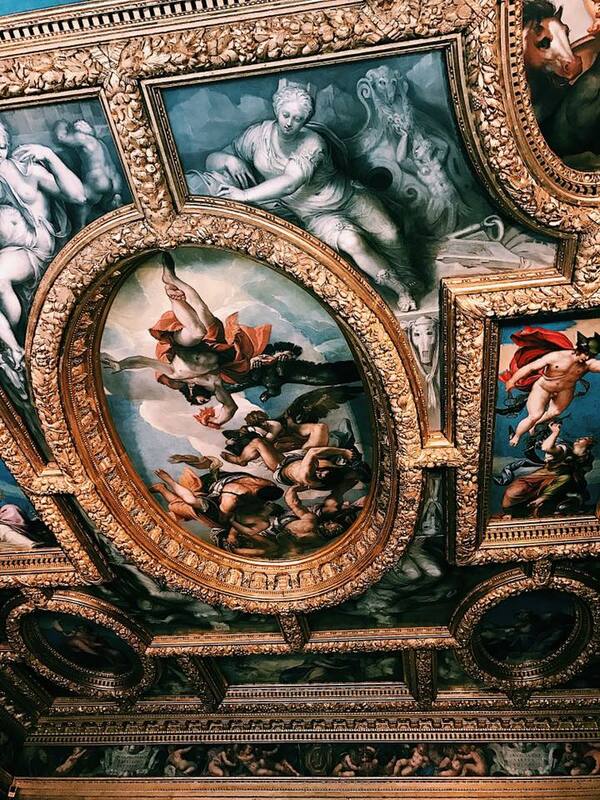 The Palazzo Pitti is divided into four museums: the Palatine Gallery and the Royal Apartments on the first floor; the Modern Art Gallery on the second floor; the Treasury of the Grand Dukes on the ground floor; and the Costume and Fashion Museum on the second floor. 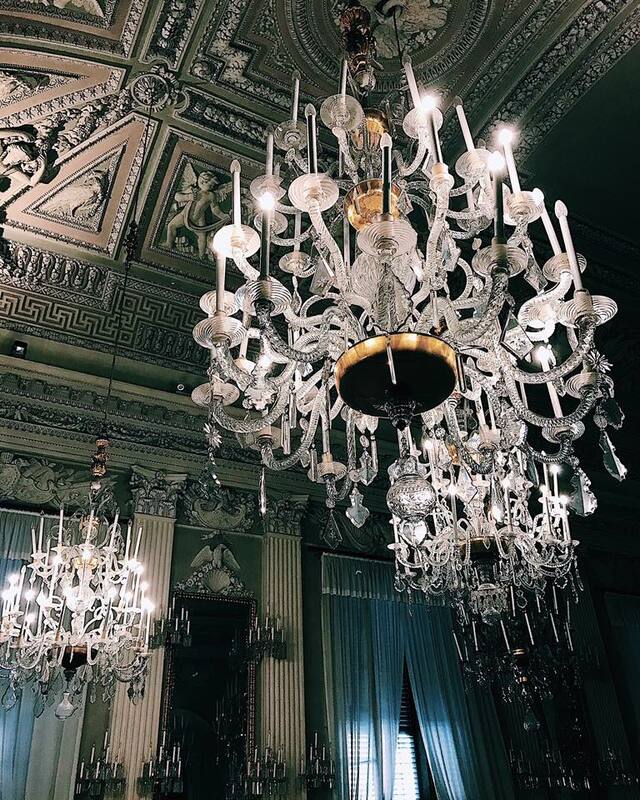 The Palace is unbelievably extravagant, filled with masterpieces, chandeliers, and exquisite style. Take your time through these corridors, for there is so much to see. When you're done touring the Palace, grab a snack at the cafe and make your way to the Boboli Gardens. 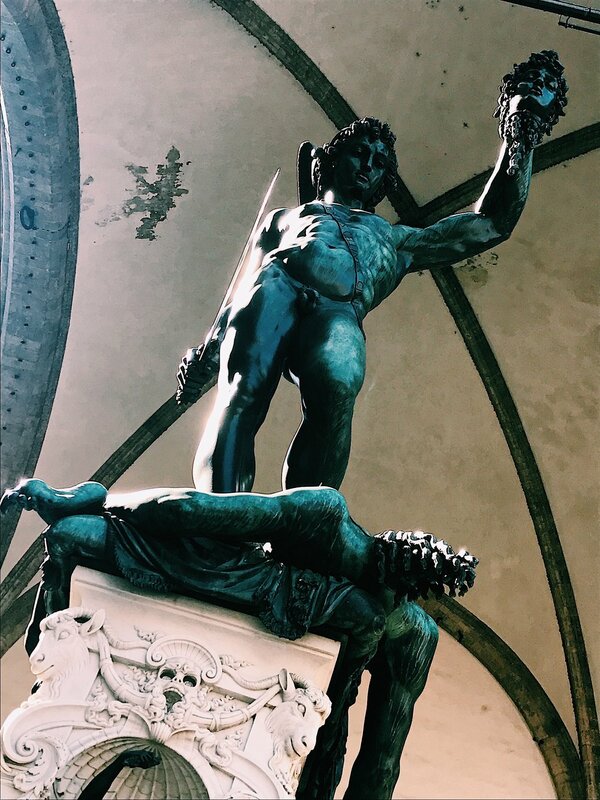 The Boboli Gardens are located directly behind Pitti Palace. Attributed to the Medici Family, these vast green gardens are a real outdoor museum, populated by ancient and Renaissance statues and grottos. Santa Croce is a beautiful basilica and the burial sites of Galileo, Machiavelli, Michelangelo, and many more of the Italian greats. 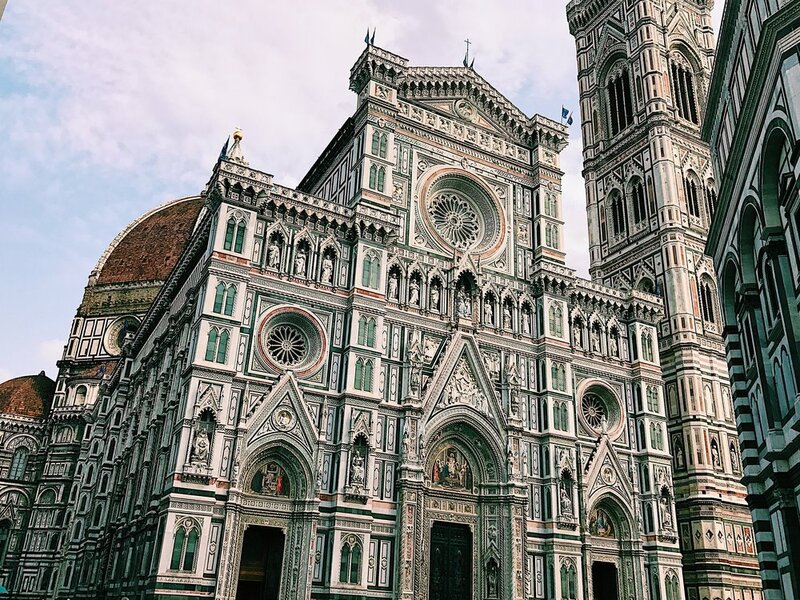 The stunning facade mimics that of Santa Maria del Fiore, and it is legend that St. Francis founded this Franciscan Church himself. 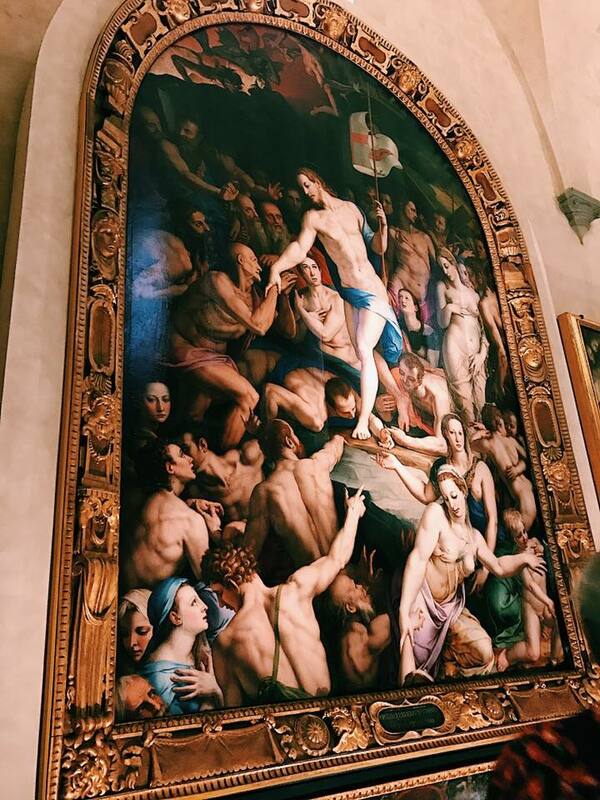 The church contains masterpieces by Donatello, Vasari, Cimabue, Giotto, and many more. If you have questions or would like more reccomendations, comment below! 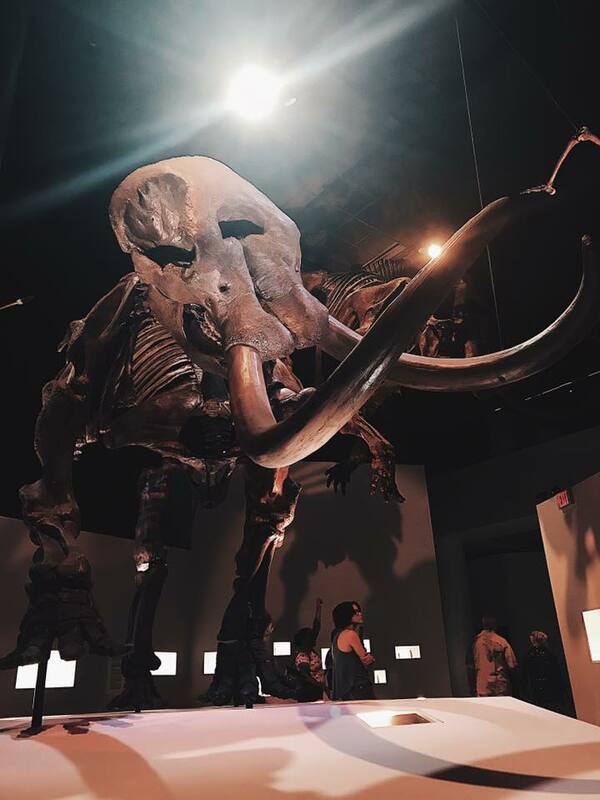 Four hours and only two exhibits visited, every winding turn through the Houston Museum of Natural History exhibits jaw-dropping displays. 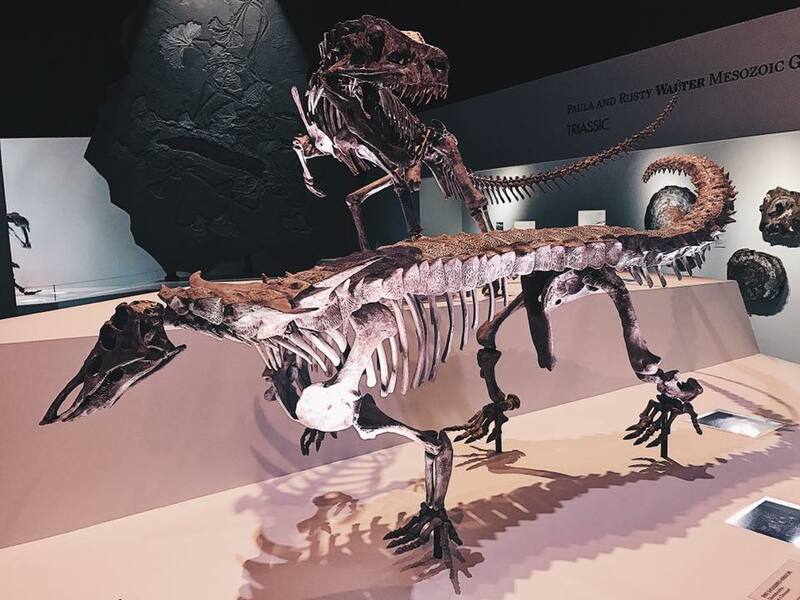 As I started in the Morian Hall of Paleontology, I immediately began to question my chosen career path. 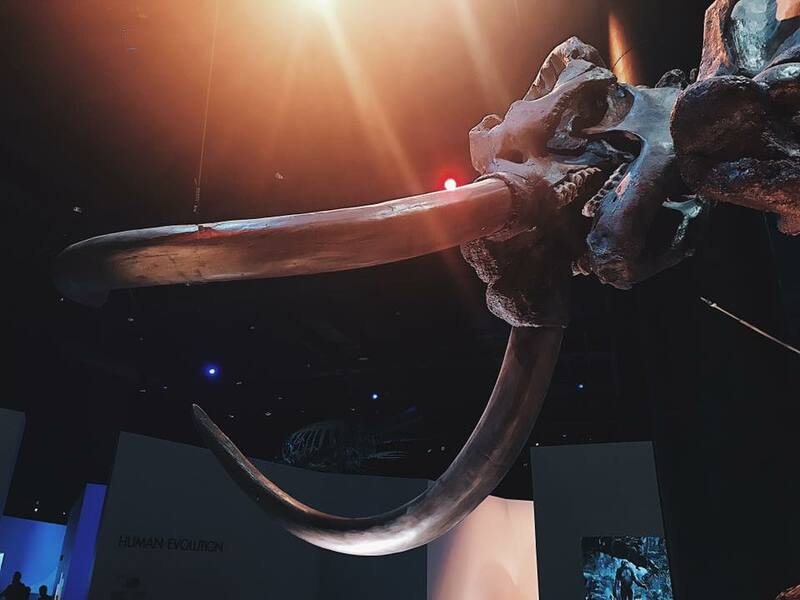 The exhibit would make even Dr. Grant's mouth drop open. 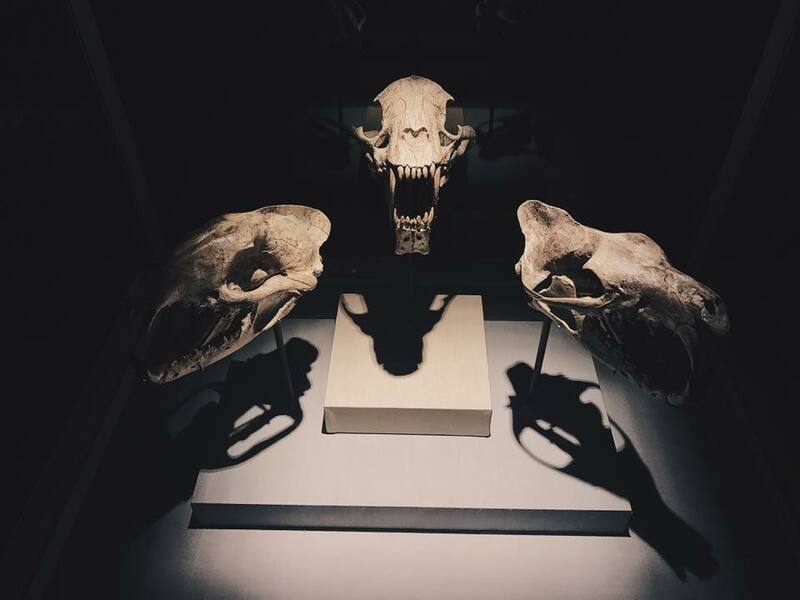 Beginning at the first known life forms on earth, and ending all the way to evolution of mankind, the Hall of Paleontology was truly a prehistoric safari. The interactive timeline began with the creepiest of crawling critters, filled with hundreds of legs and spiked shells. But something happened when I made my way to the Triassic and Jurassic Eras. 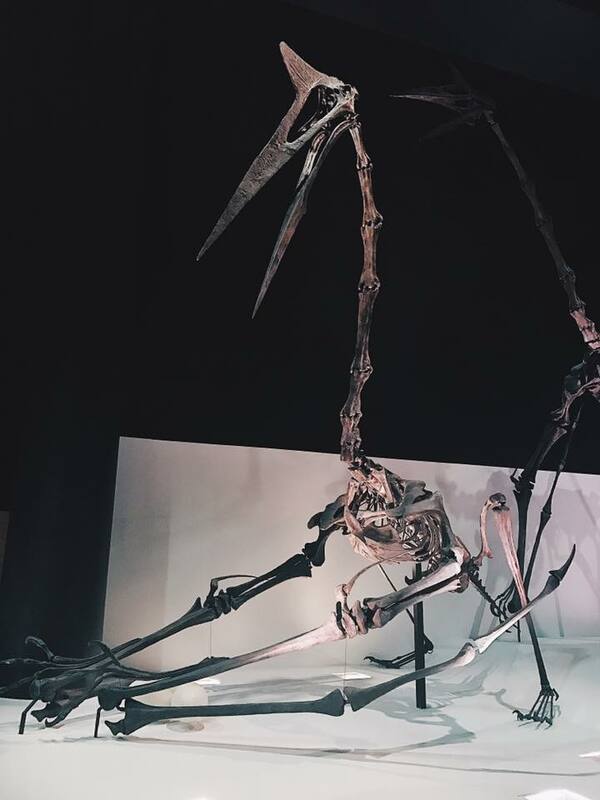 The moment my eyes landed on the first dinosaur, I could hear Dr. Ian Malcom whisper, "Life finds a way..." Every Jurassic Park dream of mine came to life. 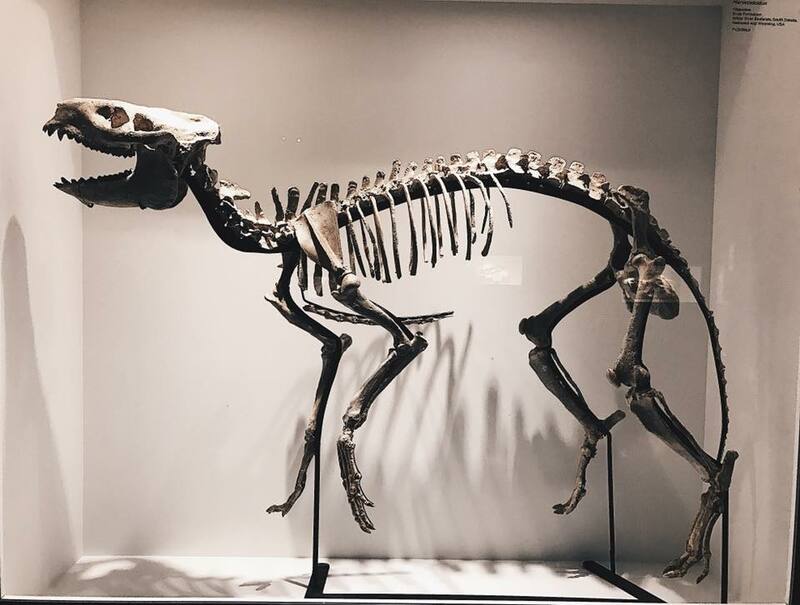 The sheer magnitude and size of the skeletons made my head spin with inspiration. 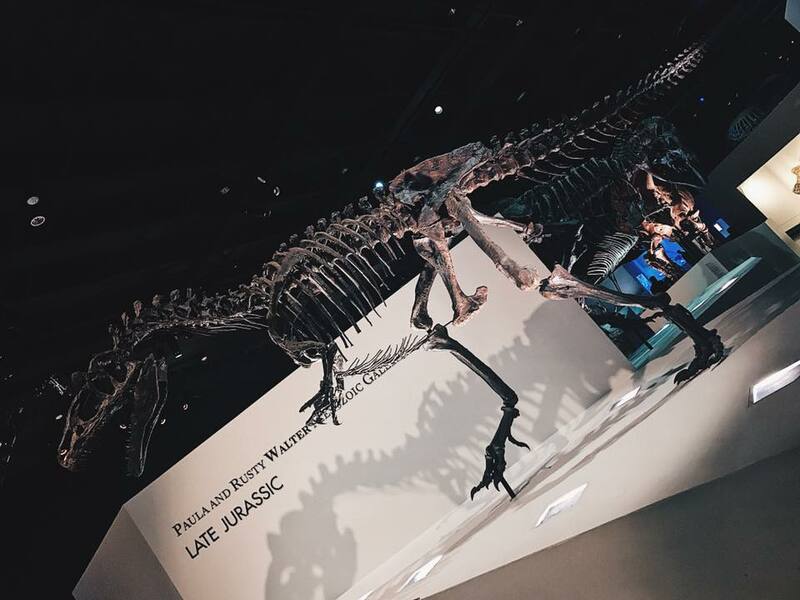 The exquisiteness in anatomy of these dinosaurs was awe-inspiring. I was suddenly walking through the woods, 65 million years ago. 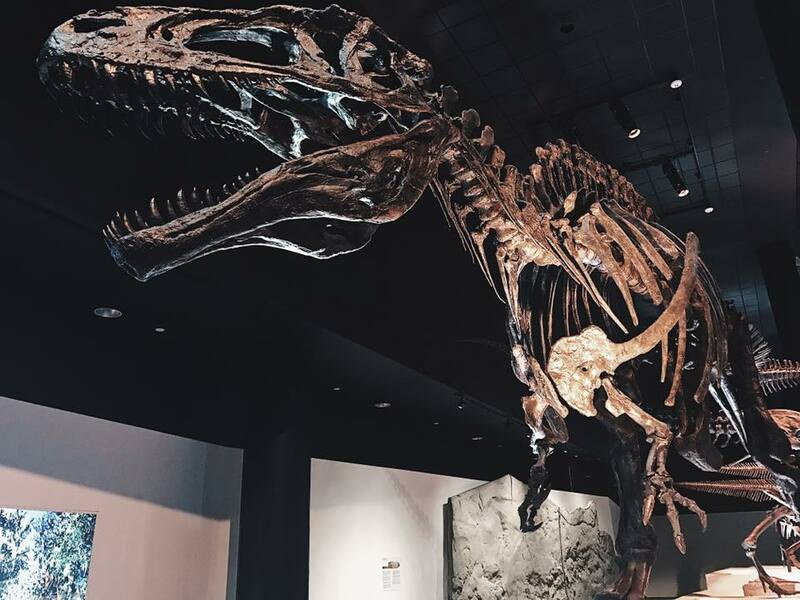 (Cue Jurassic Park theme song) Standing beneath one of the three Tyrannosaurus Rex, my life was put into perspective. We are so very small, and so very new to this amazing blue planet of ours. 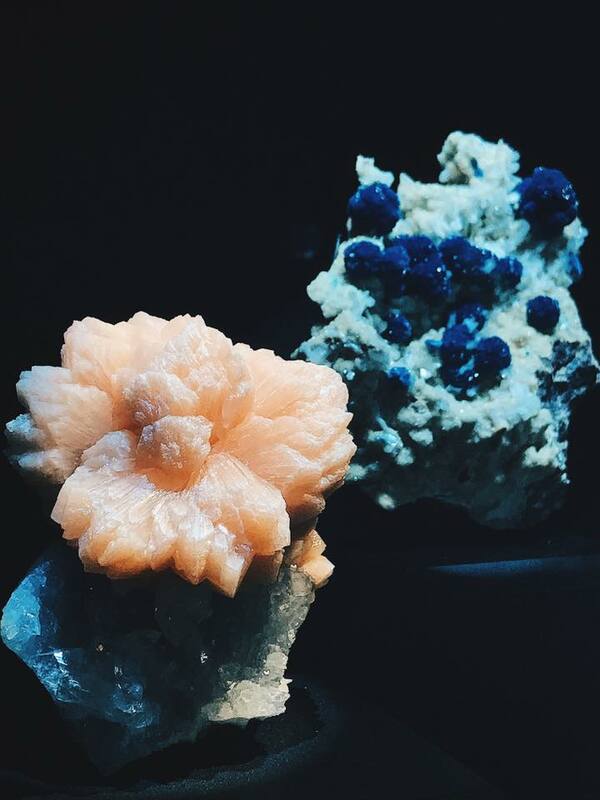 From past to present, I ventured next into the Hall of Gems and Minerals. Again, jaw-dropping. Clusters and formations of including a huge blue topaz crystal weighing more than 2,000 carats to a crystallized gold cluster that is one of the most highly coveted objects in the mineral kingdom, the spectacular specimens on display here are true masterpieces, "the Rembrandts and Picassos of the natural world." Our world created this. I kept thinking about what we consider to be art. We think of DaVinci, Michelangelo, Caravaggio, and Van Gough. For the first time, I realized that humans are not the only artists working on this planet. What an incredible and inspiring thought. 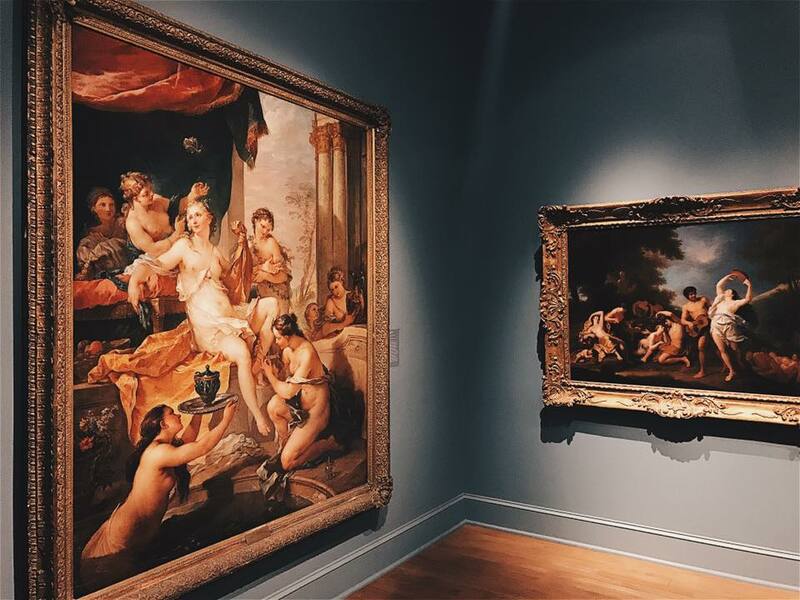 The New Orleans Museum of Art is one of the many places in the Crescent City that allows you to truly escape to not only another time, but to a completely different world. 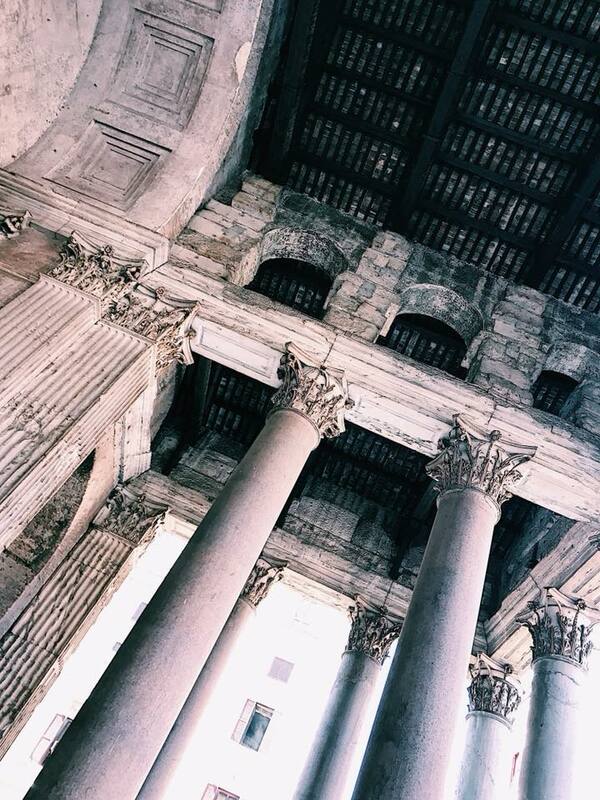 Upon entering through the 100 year old ionic columns, you emerge into a celebration of art. As an artist, walking through each collection ignites an unbelievable amount of inspiration in my soul. NOMA is like my church, and I have come to worship the masters. Through the corridors and galleries, you can be teleported to the workshops of the Florentine Renaissance, the gardens of French Impressionism, or to the contemporary studios of the early 20th century. 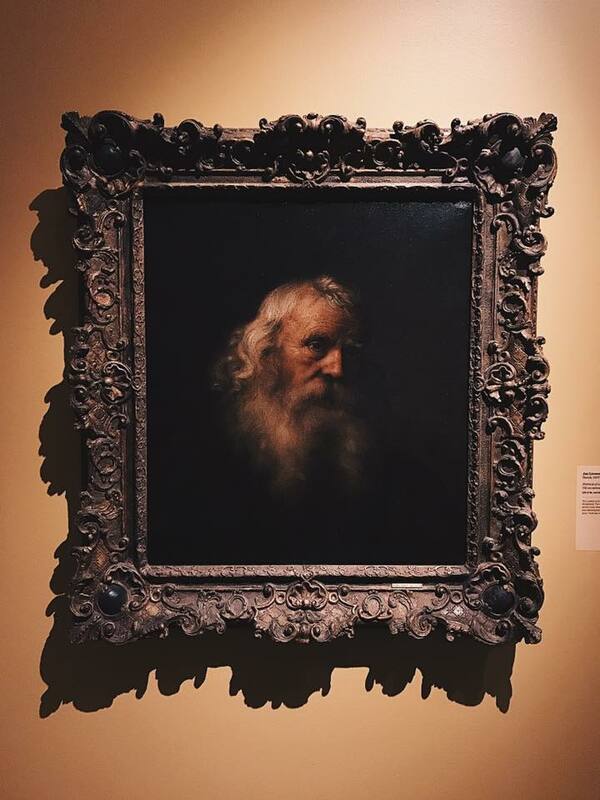 NOMA's renown collection includes works of Bellini, Degas, Monet, Renoir, Picasso, Matisse, Pissarro, Rodin, Gauguin, Braque, Dufy, Miró, Jackson Pollock, Mary Cassatt, Andy Warhol, Modigliani, and Georgia O'Keeffe. 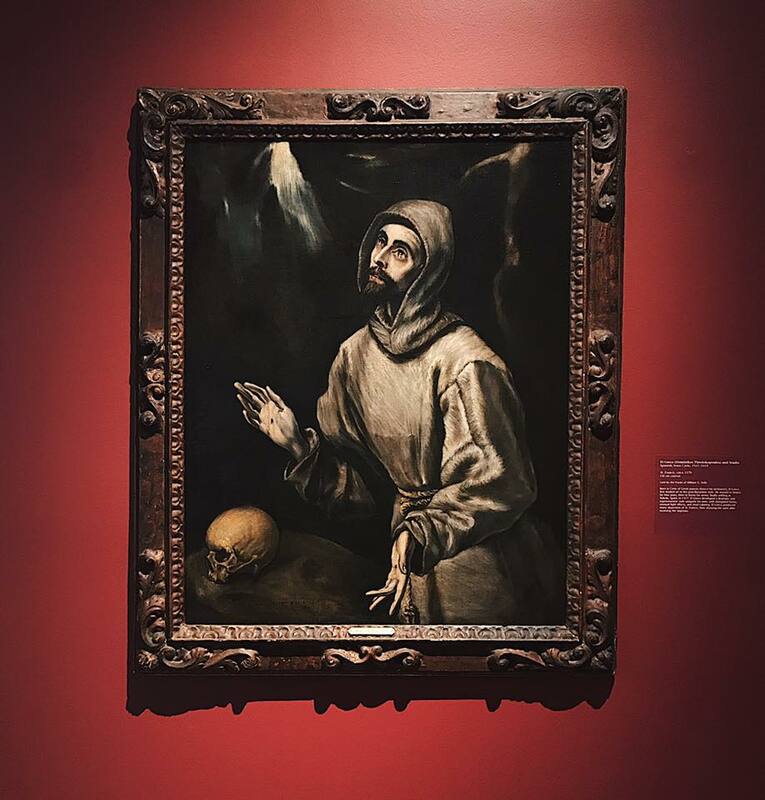 Standing in the presence of works that created entire movements in art history, is something that is pretty hard to describe. For me personally, the works can be emotionally hypnotic. 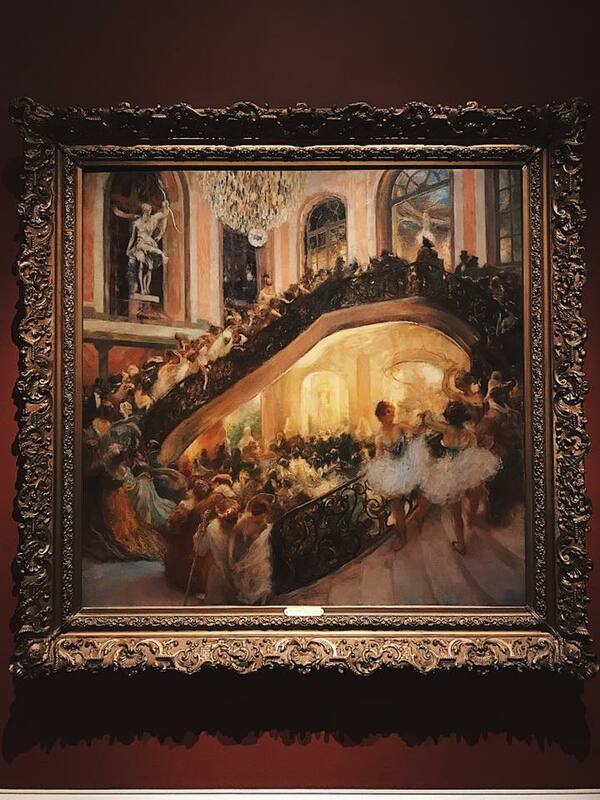 I found myself lost in La Touche's Masquerade Ball painting for over a half hour. In seconds, I was at the Grand Opera House in Paris, laughing and drinking champagne with the rest of the gala. The genius before me constantly challenges my artistic way of thinking. 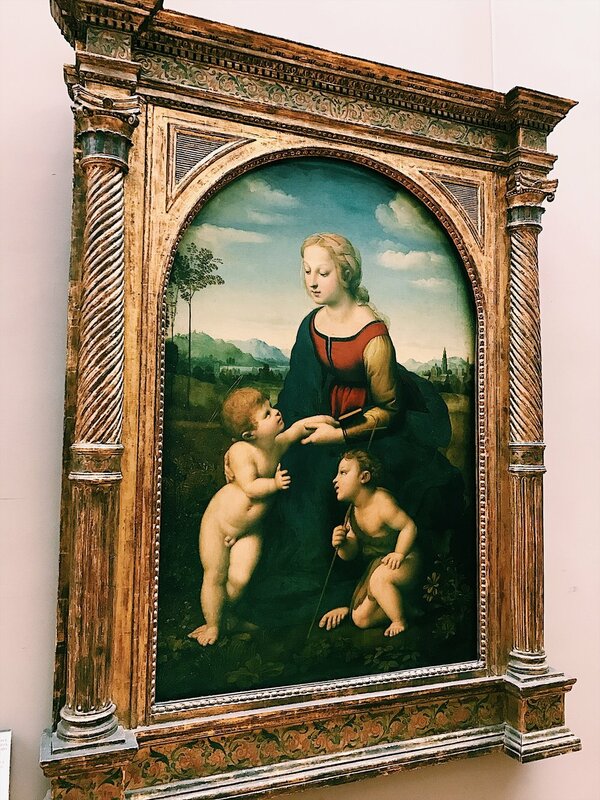 Outside of the inspirational brilliance of the naturalism and humanistic qualities in Italian Renaissance works of Bellini and his contemporaries, standing amidst Monet's many pieces at NOMA makes you realize that in art, anything is possible. Monet was the founder of Impressionism. He created a movement by creating something that never existed before him. He took the impossible and made it possible through art and his imagination. You experience the same wonderment upon gazing at the early Cubism of Picasso's works. These artists changed the world's view by igniting imagination in art that was not relatable to the real, concrete world. What an exquisite idea. What an inspirational idea. Down on the bayou banks, a pilgrimage occurs the last weekend of April through the first weekend of May. It is a cultural pilgrimage of thousands in pursuit of an exquisite feast. This feast fills not only the stomach, but the soul. This pilgrimage is a celebration of sound, culture, and life. The New Orleans Jazz and Heritage Festival celebrates all walks of life with music, art, food, and parades. Some of the greatest musicians in history have blessed the stages of Jazz Fest with their presence. From Stevie Wonder to Elton John, Lady Gaga to our very own Trombone Shorty, the stages of Jazz Fest definitely bring the heat (most literally with New Orleans weather). Something magical occurs everyday on the paths between the many musical stages. A pageantry of vibrant color, feathers, and glittering gems parades through the walkways, singing and dancing to a rhythm that can only be defined as that of the Mardi Gras Indians. Exquisite craftsmanship of headdresses and costumes accompany these soulful individuals as they march with their tribes. Upon my walking from the famous Gospel Tent to the main Acura Stage, I happened to stumble upton the parade of Big Chief Trouble & Trouble Nation and Mohawk Hunters Mardi Gras Indians. The parade is enough to take your breath away. See for yourself. 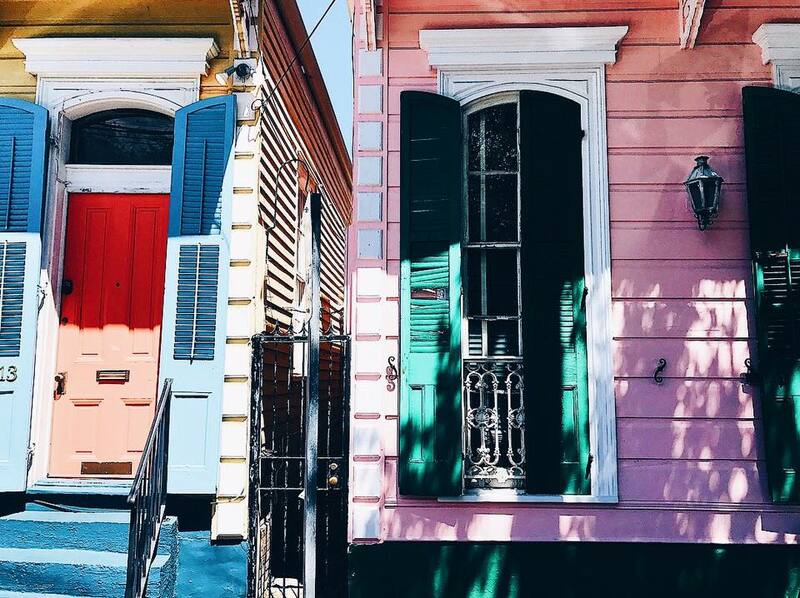 Wandering through the historic streets of the Big Easy simply ignites all the senses. From the vibrant colors of the city's one-of-a-kind architecture, to the smells that escape the confines of the many world-renowned restaurants, to the sounds of a corner brass band, the spirit that is New Orleans is, in the most literal sense, tangible. As an artist, I find myself in constant search for inspiration. As a native New Orleanian, I need only find myself outside my front door to find it. (I mean, let's be real, New Orleans might as well be Rainbow Road.) This week I wandered the streets of the New Orleans Bywater Neighborhood. 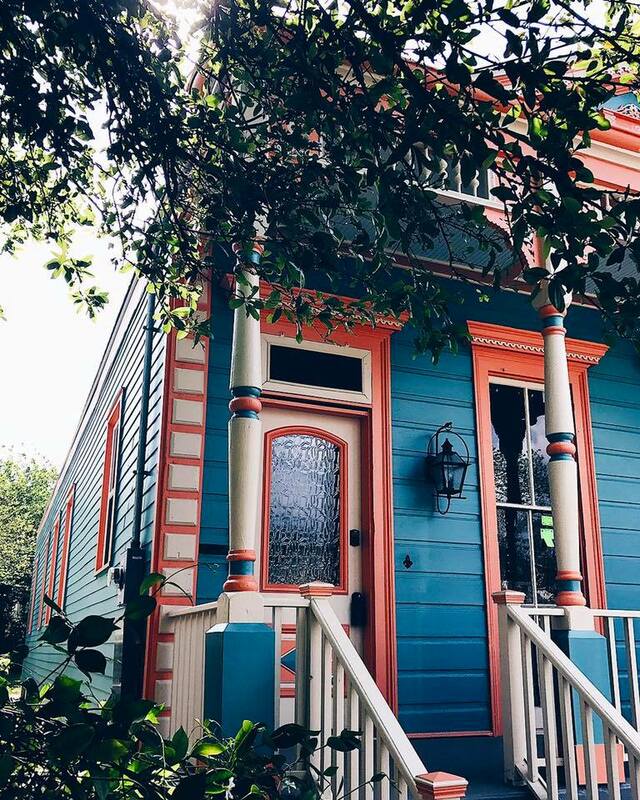 The Bywater is pure magic, filled with vibrant architecture, lush greenery, and artistic flare. Like a Sunday, this historic neighborhood is relaxing, laid back, and filled with nothing but good vibes. What happens when an artist packs her bags, her sketchbook, and her weapons of mass creation and travels the globe? Welcome to Studio Abroad, an artistic adventure! Armed with pencil in hand, it is my mission to create live art across the world! How did I get here? I'm honestly still asking myself this very question. 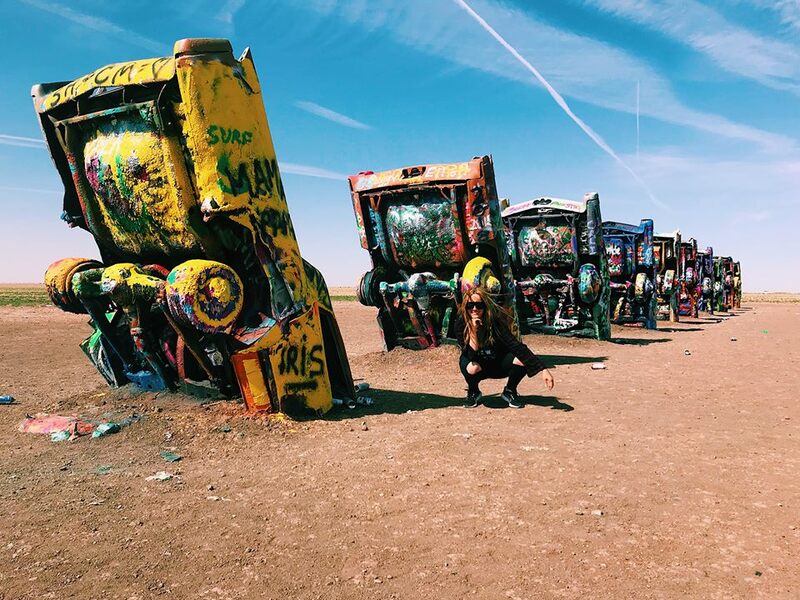 But, I'm prepared to not only take you on this artistic adventure with me, but also share the most badass spots across the globe, and help you get there! It's time to take over the world, babes.